I love food, don't you? Wouldn't it be nice if the food you ate loved you back? Below you will find some healthy meals you can eat without feeling guilty. 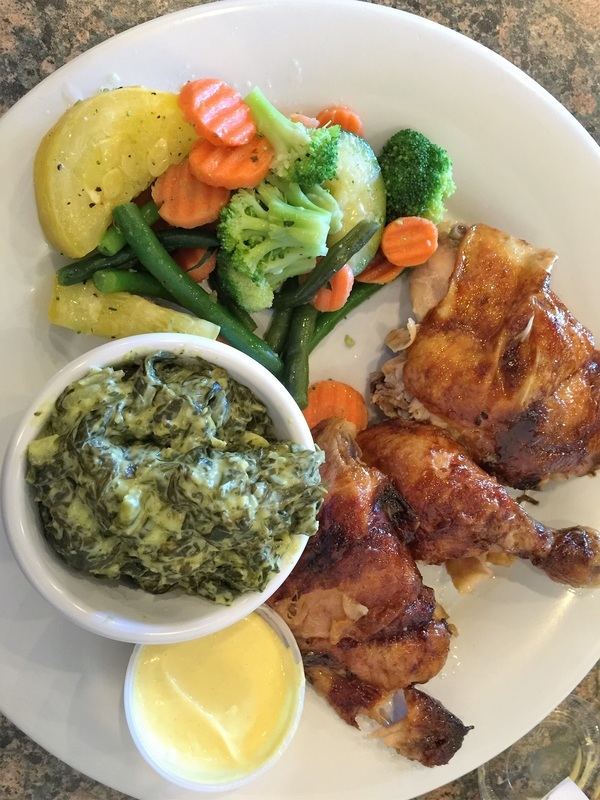 At each phase of healthy eating, these meals will nourish the whole person. They are not only appropriate for the HCG protocol, but for your whole family and for your whole life! Enjoy! 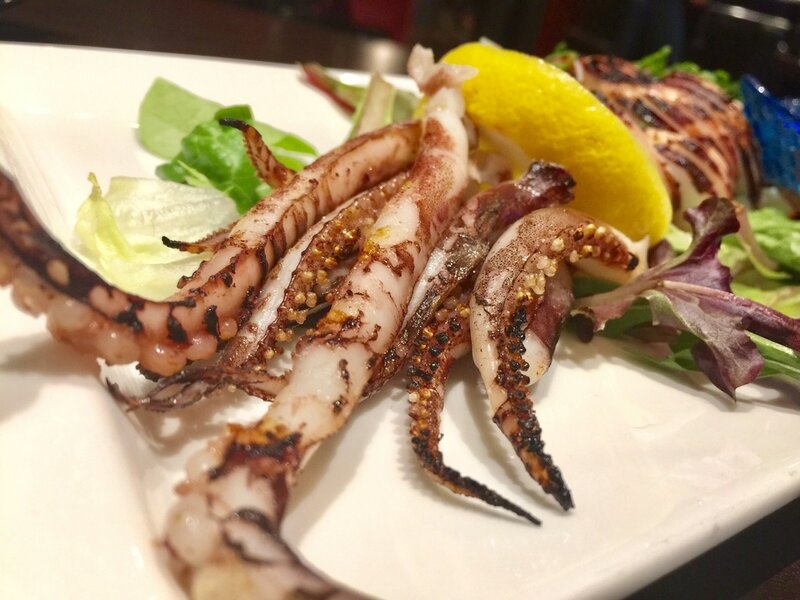 PHASE 2: Octopus on the grill with lettuce and lemon. Add a touch of salt...perfection! PHASE 2: Raw oysters with horse radish. Skip the cocktail sauce if on P2 because of the sugar content. PHASE 2 and Beyond: Roasted cauliflower with black pepper, salt and love! PHASE 2: Scallops, raw with lemons, ginger, and shredded Daikon radish. PHASE 2: Fermented kimchee, steamed broccoli, spicy cauliflower. ​PHASE 2: Curry powder seared Mahi-Mahi. 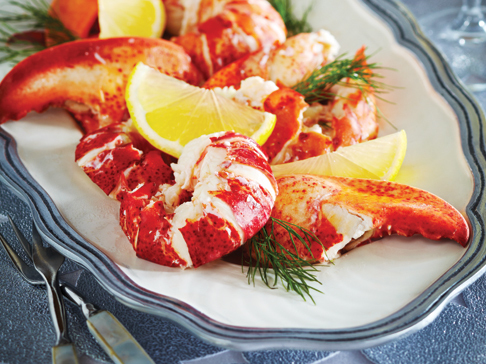 PHASE 2: Crab and lobster, lemon and garlic! PHASE 2: Red snapper on the grill, cucumbers and lemon. PHASE 2: Baked cauliflower with nonfat Greek yogurt, nutritional yeast flakes, herbs, spices, and love. 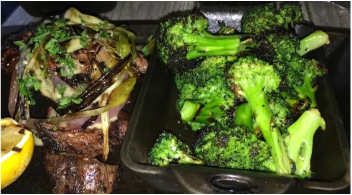 PHASE 2: Steak with onions and a side of charred broccoli. PHASE 2: Mini lamb burgers over arugula with vinegar. Side of raw pickle! PHASE 2: Chilean sea bass, salt, pepper, paprika. Broil for 20 minutes if a large piece, turn once. The naturally oily fish needs no oil added to get crispy! Heavenly! PHASE 2: Tilapia with copious amounts of dried basil, mushrooms, and a little lemon. ​PHASE 2 AND BEYOND: Blackened and grilled mushrooms, tomatoes, organic greens, shallots, zucchini, peppers! ​PHASE 2 AND BEYOND: Asparagus, peppers, celery. 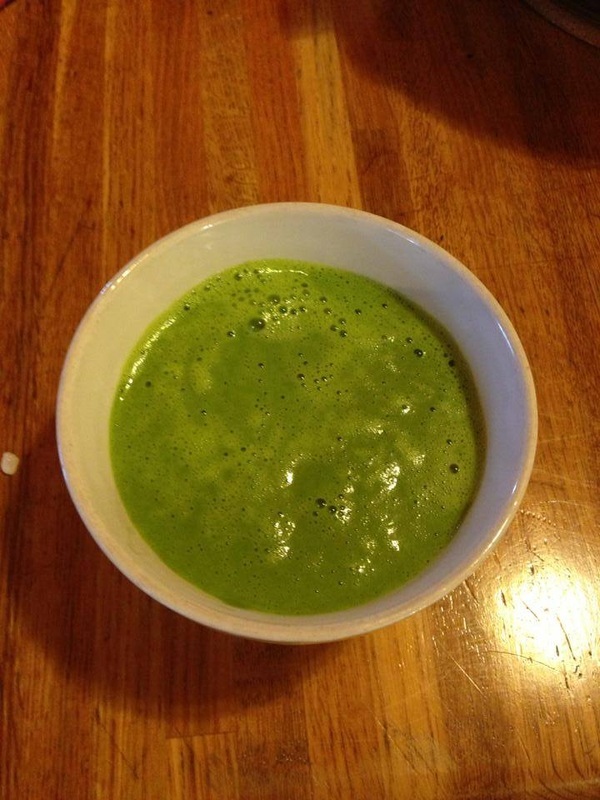 fennel puree soup. Divine, with garlic and a squeeze of lemon. ​PHASE 2: Great appetizer of shishiro peppers on the grill with a brush of salt and coconut oil. Bring on the heat! ​PHASE 2: Calamari soup with fennel, bok choy, garlic, lemon, chili. Yummy! PHASE 2: Dessert is possible! 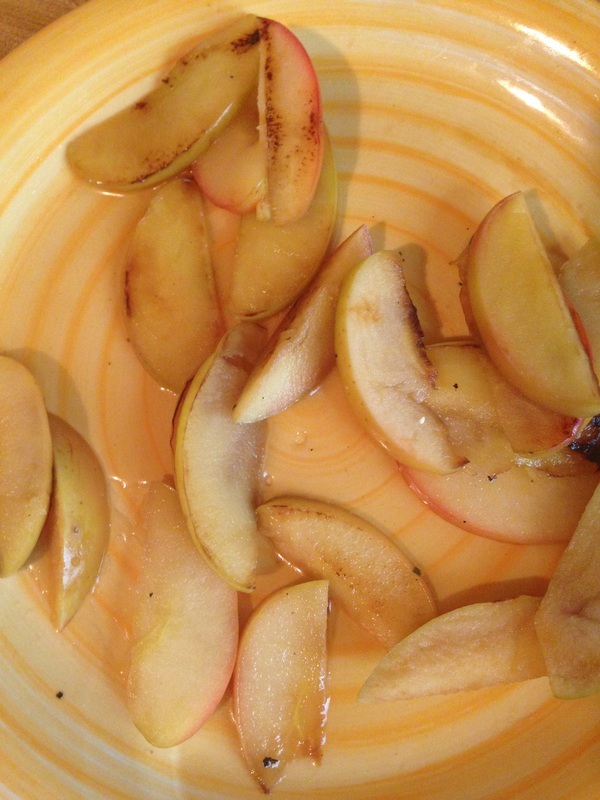 Sear slices of apples in coconut oil. 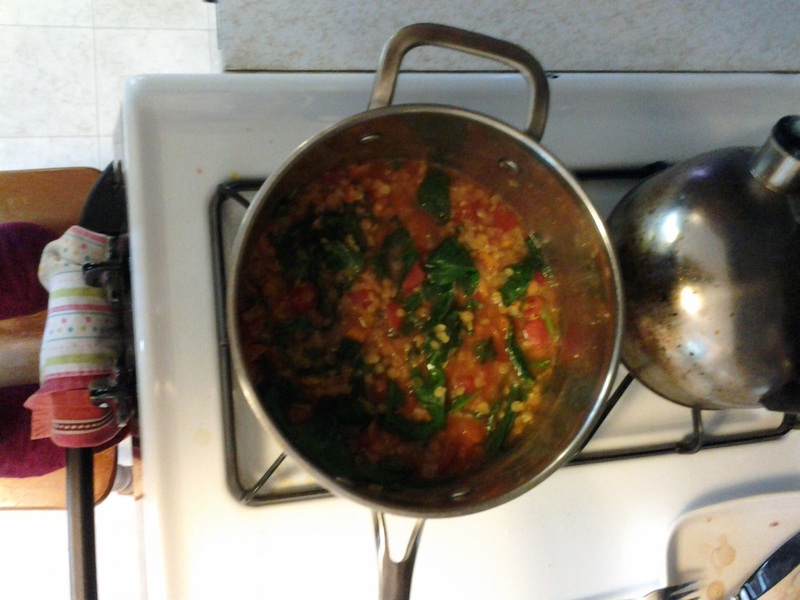 In a separate sauce pan, boil water, mint, and Lakanto. Pour over apples and enjoy! 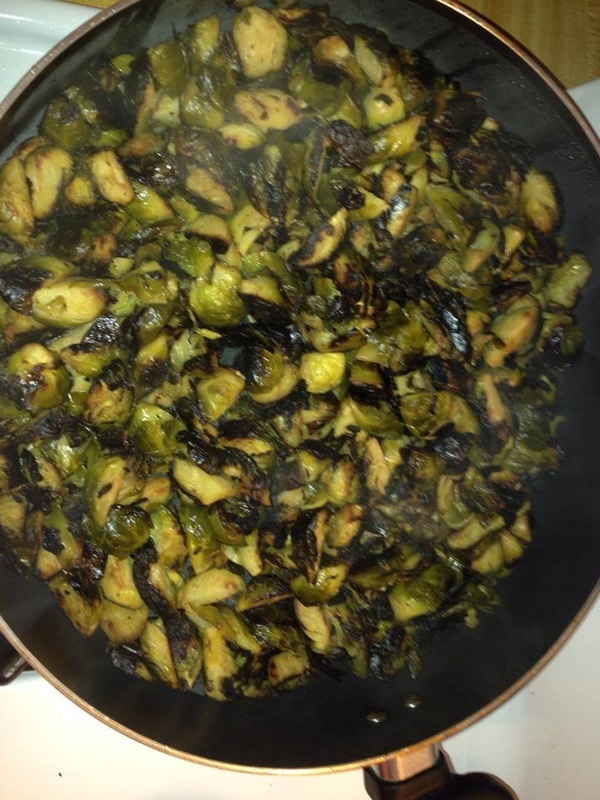 ​PHASE 2: Blacken Brussels sprouts with a teaspoon of coconut oil. 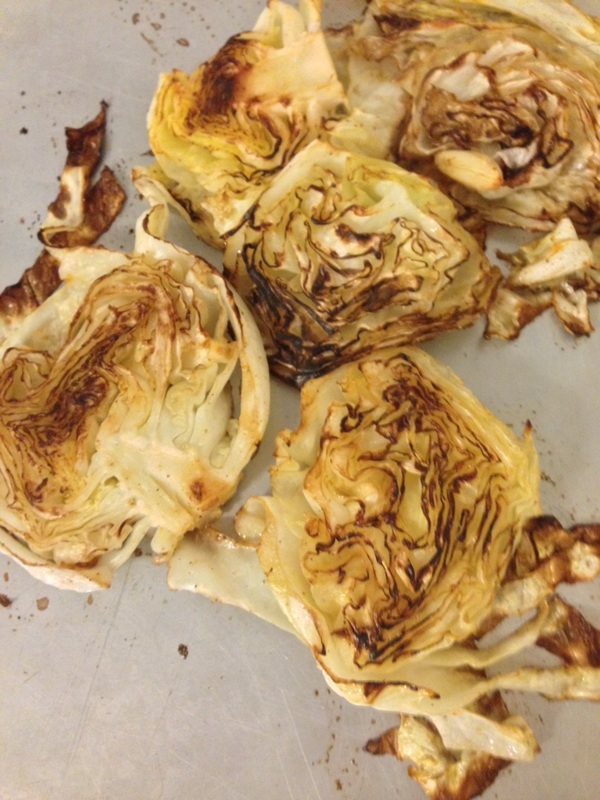 The blackening makes them taste like artichoke hearts. 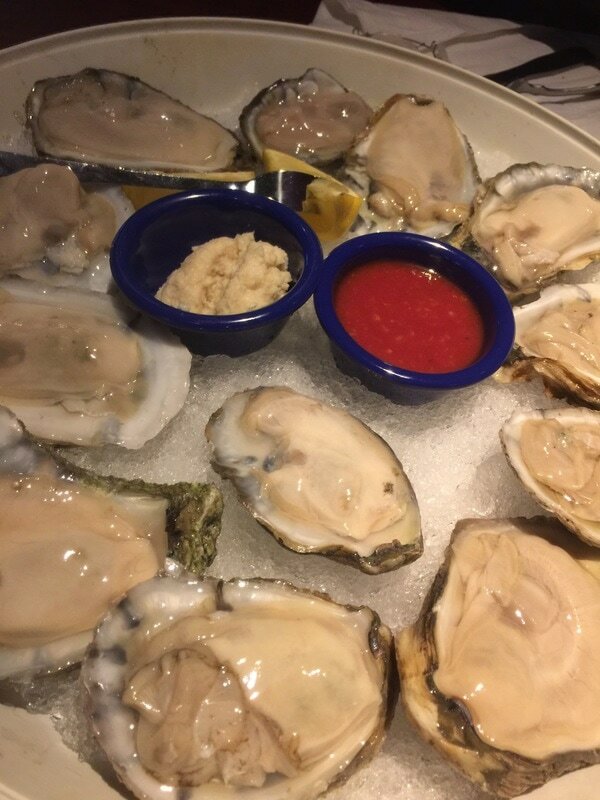 Toss in a little salt and pepper. Yummy! ​PHASE 2: Tomato and smoked paprika rubbed chicken breasts, cooked slowly with coconut oil in oven. PHASE 2: Cod, garlic, paprika, and coconut oil. ​PHASE 2: Whole head of cauliflower rubbed with nonfat Greek yogurt and curry powder, nutritional yeast flakes, salt and pepper. Cook for an hour at 350 degrees. 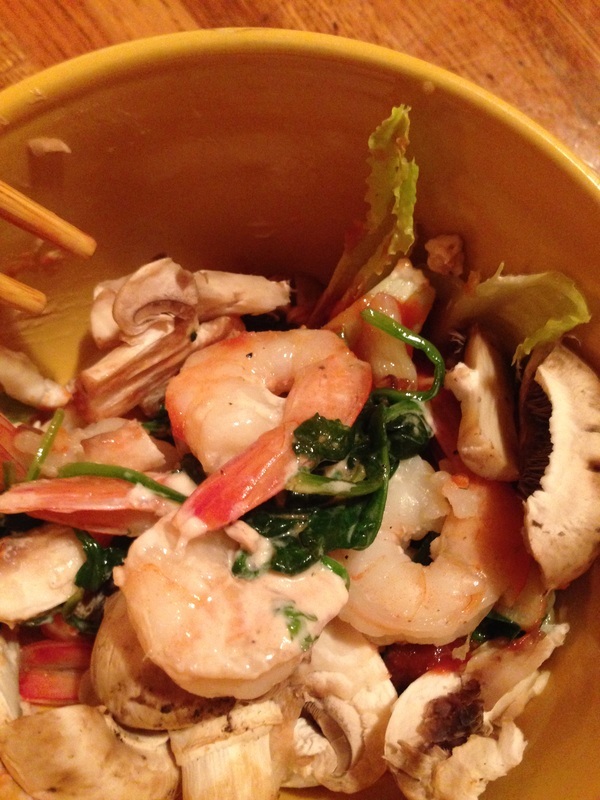 PHASE 2: Shrimp with spinach, lemon grass, mushrooms, and natural broth made with raw apple cider vinegar. ​PHASE 2: Swai steamed and set on top of mushroom marinara. Leave off olives if on P2! ​PHASE 2: Tilapia with tomatoes, leeks, garlic, broccoli, and of course nonfat Greek yogurt. Side of pickles. ​PHASE 2: Calamari with collard greens, curry powder, tomatoes, and Greek nonfat yogurt. Side of mustard and pickles. ​PHASE 2: Boneless skinless chicken curry breast meat with coconut oil. ​PHASE 2: Salad from cruciferous veggies, pickles, and nonfat Greek yogurt. ​PHASE 2: Bok choy, egg whites, mushrooms and pickles. Side of sugar free ketchup and nonfat Greek Yogurt. PHASE 2: Egg white scramble, purple cabbage, radishes, onions, celery, peppers, fried in a little coconut oil. PHASE 2: Soak chicken chunks overnight in Pink salt, lemon, and nonfat Greek yogurt. Add spices the next day and BBQ or bake. Put over salad greens, sear zucchini on the side in a little coconut oil. Season to your liking! PHASE 2: Scallop sashimi with radishes and ginger. PHASE 2 and BEYOND! Lobster tails in MCT oil and basil and garlic and pink Himalayan salt.. Saute spinach and burn some cabbage. Mmmm good! LUNCH FOR P2, and REAL LIFE! 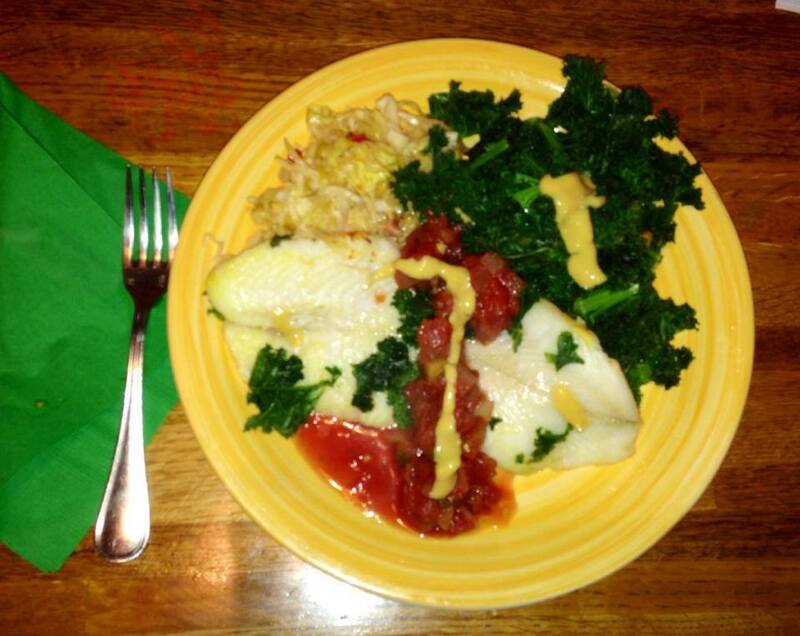 Steamed Swai fish, raw chipotle sauerkraut, steamed kale. Top with sugar free salsa and spicy mustard. Mmmmm! PHASE 2 or 3 MEAL and BEYOND! Eggplant, ground 99 percent fat free turkey, tomatoes, mushrooms, broccoli, zucchini, onions, garlic, basil, oregano, thyme, and goooone! Delete eggplant if in Phase 2, swap out turkey for chicken in Phase 2. Paleo BBQ sauce. Sugar free, gluten free goodness! PHASE 2 lunch vegetable: seared Brussels sprouts in a tiny bit of coconut oil. If you burn them, they taste like artichoke hearts! Add PHASE 2 protein. Yum! Perfect PHASE 2 Lunch: chopped raw celery, flaked red snapper fish, tossed into herdez sugar free salsa and raw apple cider vinegar. Mmm good! 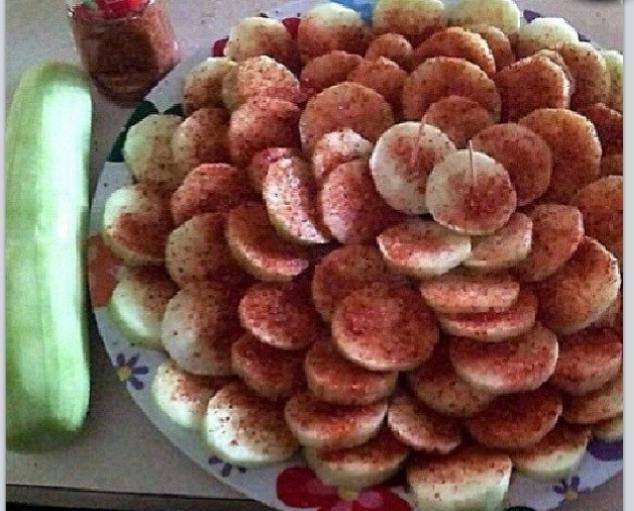 Cucumbers with cayenne pepper sprinkled on top. Snack worthy of PHASE 2 and BEYOND! 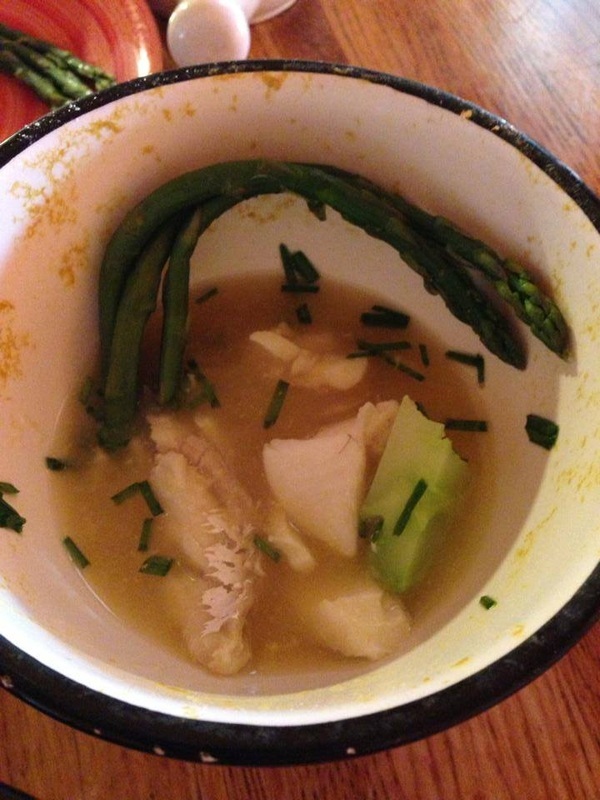 Cod in chicken broth with chives, asparagus, and broccoli stems. PHASE 2 heaven! PHASE 2 or 3 meal... 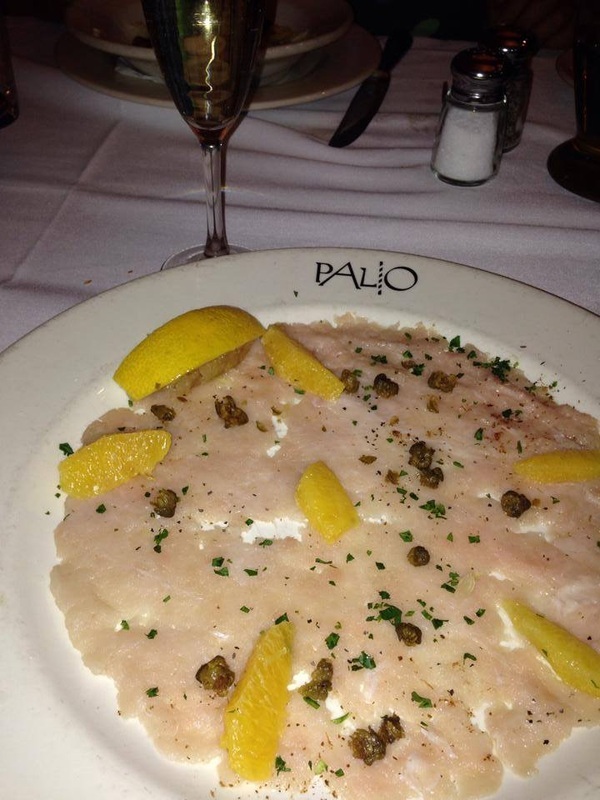 Swordfish carpaccio (yes that's raw), with grapefruit wedges and capers, lemon wedge. Phase 3, add orange wedges and fry the capers... Mmmmm. Miracle noodles, fettuccine or angel hair style has 0 calories because it is all fiber. I sauté them with garlic, lemon, onions, scallions, shrimp and steamed tomatoes and spinach. Add a little bit of coconut oil, salt and pepper. Toss and WALAAA! Mushrooms, green zucchini, purple cabbage and celery seared with a tiny bit of coconut oil and balsamic vinegar, garlic, lemon, lakanto, salt and pepper. PHASE 2 appropriate ! 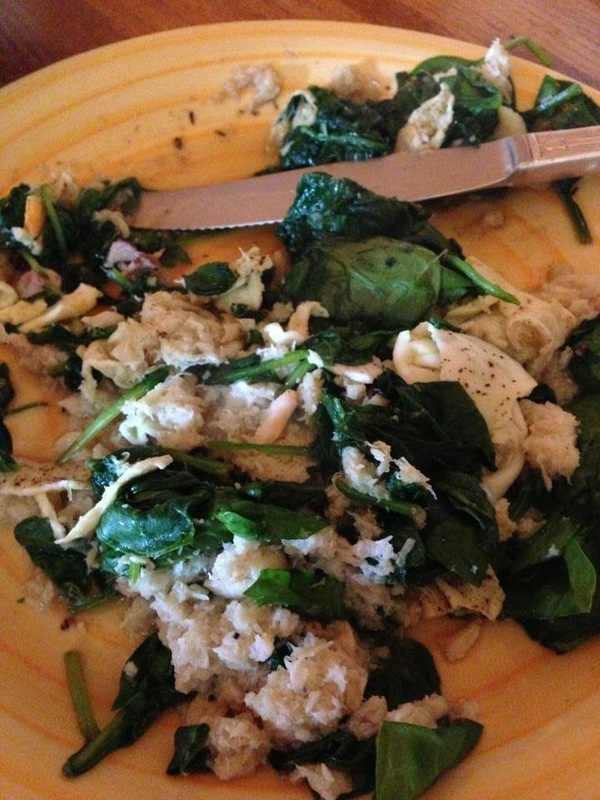 Canned crab, spinach, and egg white omelet . Delicious and nutritious ! PHASE 2 appropriate. ​PHASE 2: Chili pepper on scallops, raw spinach, cucumbers, leeks, seasoning. 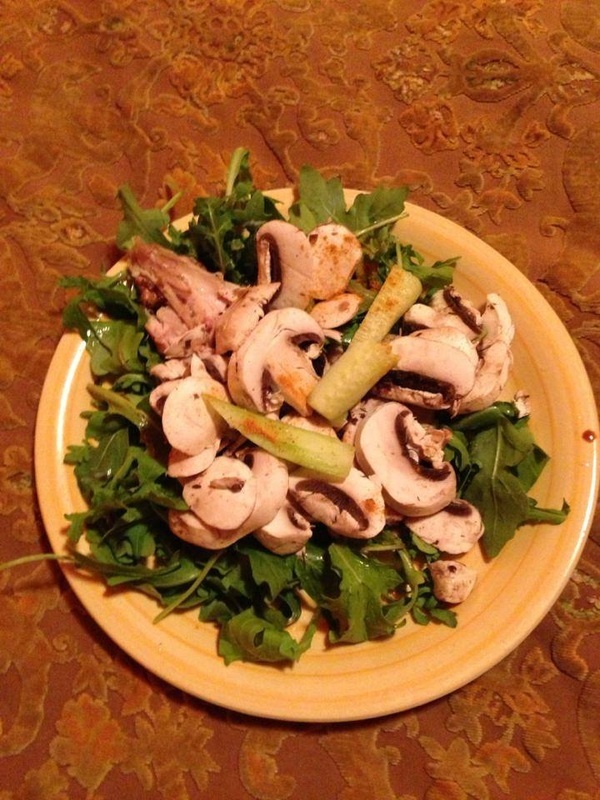 PHASE 2 meal: arugula and raw mushrooms with cucumbers. Balsamic and lemon, salt, pepper, curry powder and pan seared chicken breast with a teaspoon of coconut oil for pan and garlic cloves carmelized. 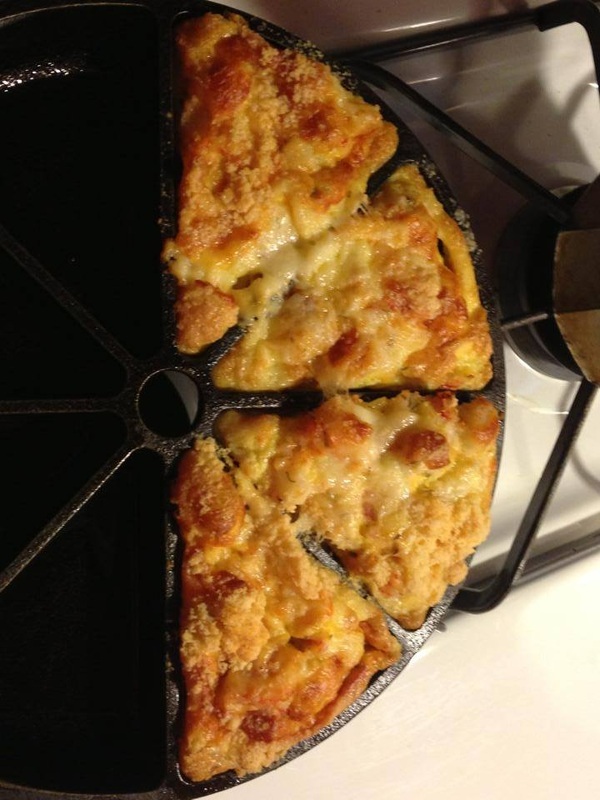 Yummy and dinner or lunch in 15 minutes !! PHASE 2 soup in the Healthmaster blender: kale, cauliflower, cabbage, onion ginger garlic and broccoli. Add a little salt and pepper and curry paste, the green one from Mae Ploy is P2 appropriate. Yummy and 15 minutes until lunch! Cilantro and seared cabbage in lemon Lakanto broth. Add chives and swai fish . A lot of cilantro was used !!! Good blood purifier and pulls heavy metal toxins out of your body. PHASE 2 appropriate. PHASE 2 meal: Seared boneless chicken breast with baby bok choy, purple cabbage. Add Himalayan salt and curry powder . Coconut oil drizzled on top. 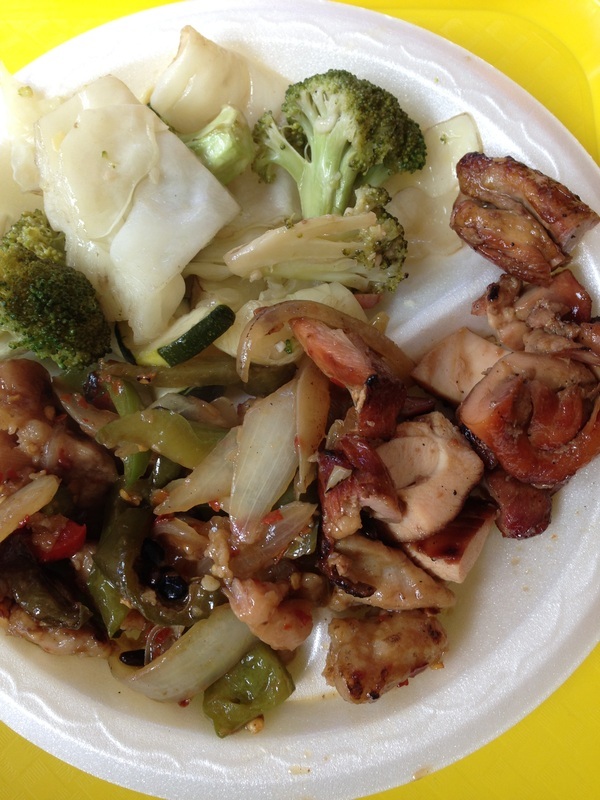 PHASE 2: Cabbage and broccoli with spicy peppers, garlic, blackened chicken,and sauteed onions. 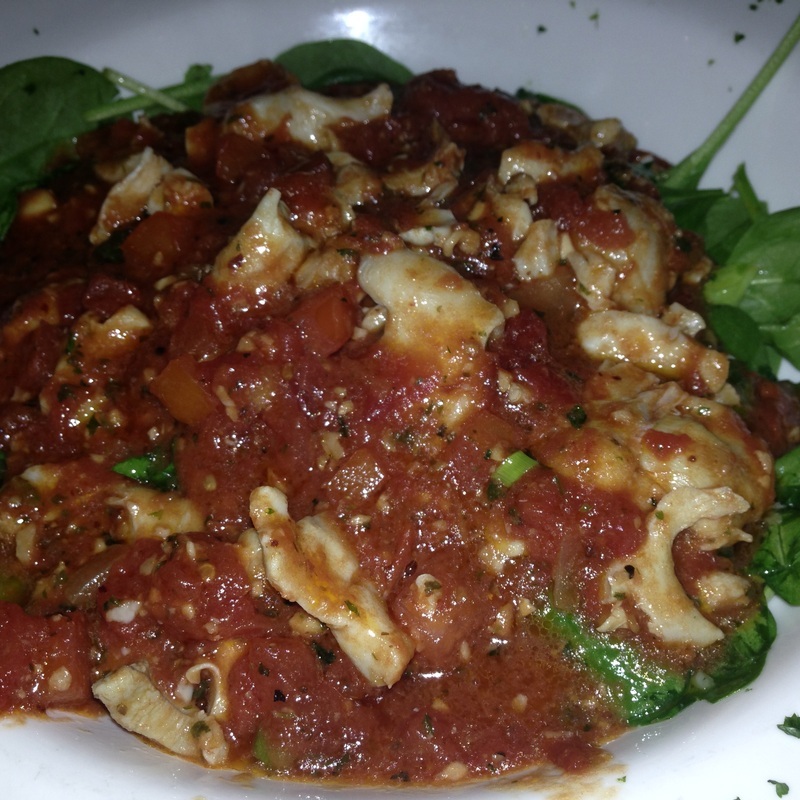 PHASE 2: Scungilli (conch fish) in marinara with a bed of raw spinach underneath it all! To die for! 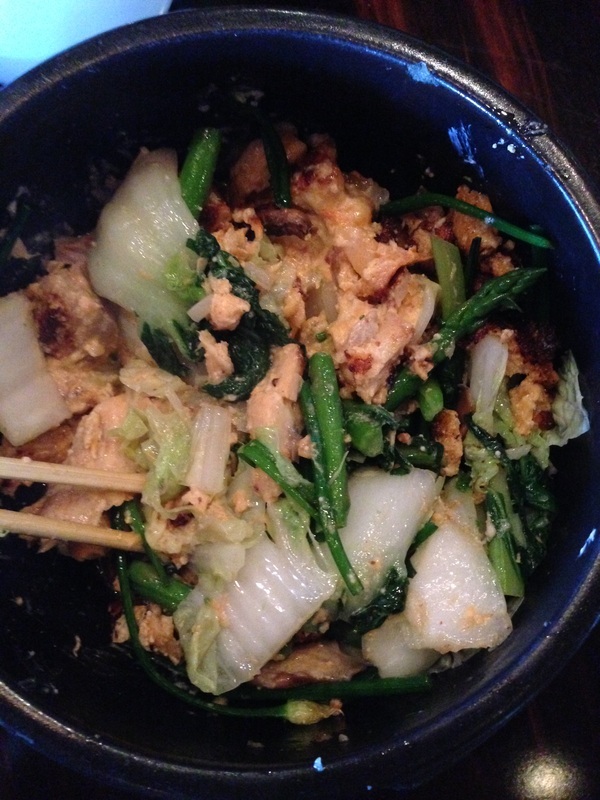 PHASE 2: White fish of any kind, bok choy, cabbage, asparagus.Add garlic and Bragg's liquid aminos. ​PHASE 2: Salad or juice it! Phase 2 veggies plus an apple! Add ginger for kick! PHASE 2: Brush coconut oil on large cabbage slices, season and put flat side down on cookie sheet. Bake for 25 minutes at 350 degrees. 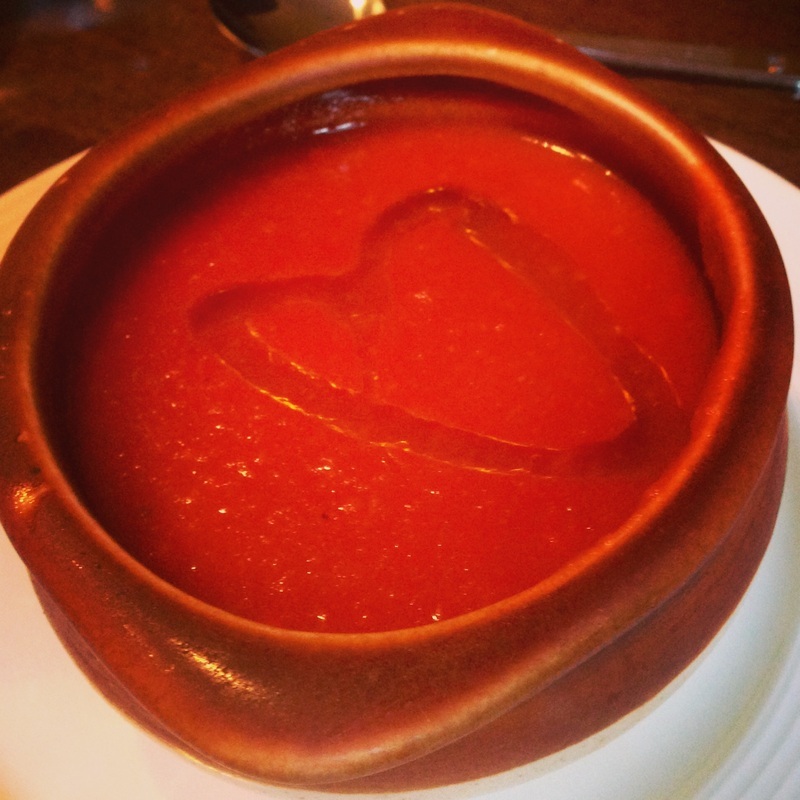 PHASE 2: Roasted tomato soup with a drizzle of coconut oil. Shrimp cocktail with Herdez brand salsa, chopped onions, scallions , parsley, cilantro, garlic, and limes. 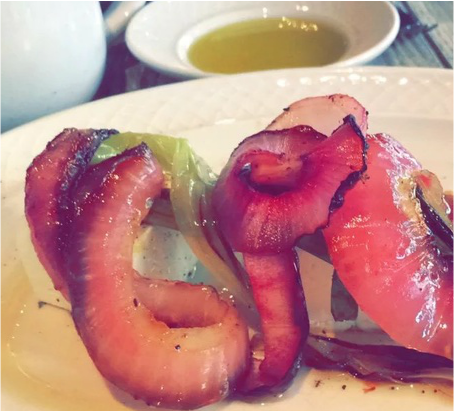 Serve with radishes on the side. For PHASE 3, add avocado! Eat up!! 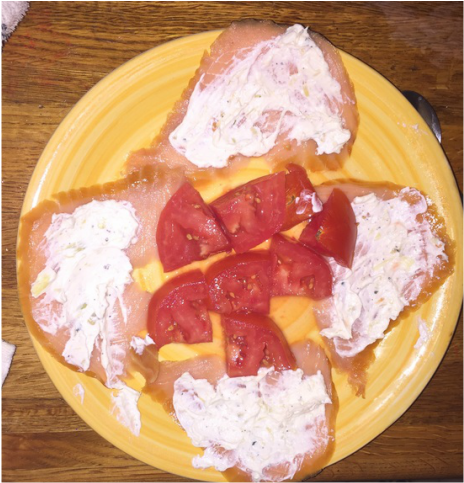 PHASE 3: Smoked salmon, cream cheese, tomatoes. ​PHASE 3: Coconut curry cauliflower and cheese soup with scallions. PHASE 3: Brussels sprouts fried with garlic mayo. 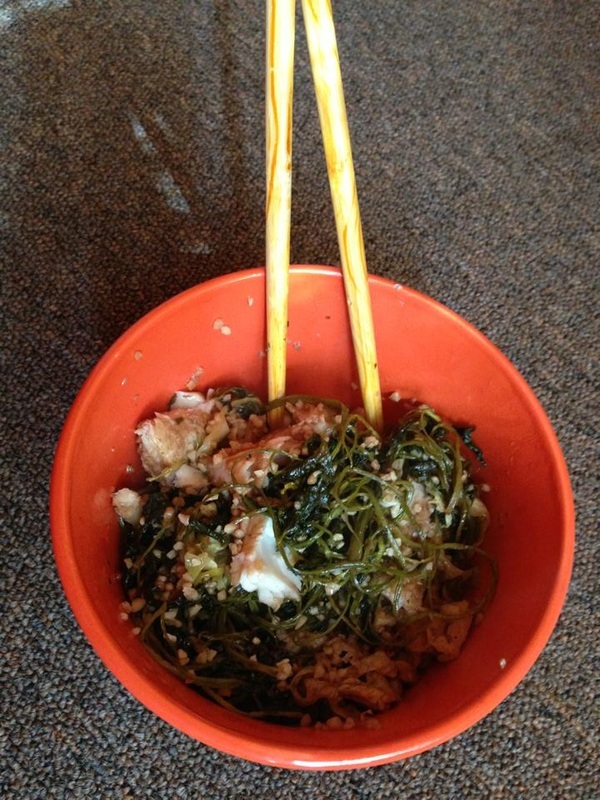 PHASE 3: Raw spinach with black olives, hidden underneath, scallions, and pork chops. PHASE 3: Shrimp and avocado salad, citrus dressing. PHASE 3: Egg crepe with sprouts and shrimp, minced pork too! PHASE 3: Raw cheeses, berries, and nuts. If on P4, enjoy the honey. 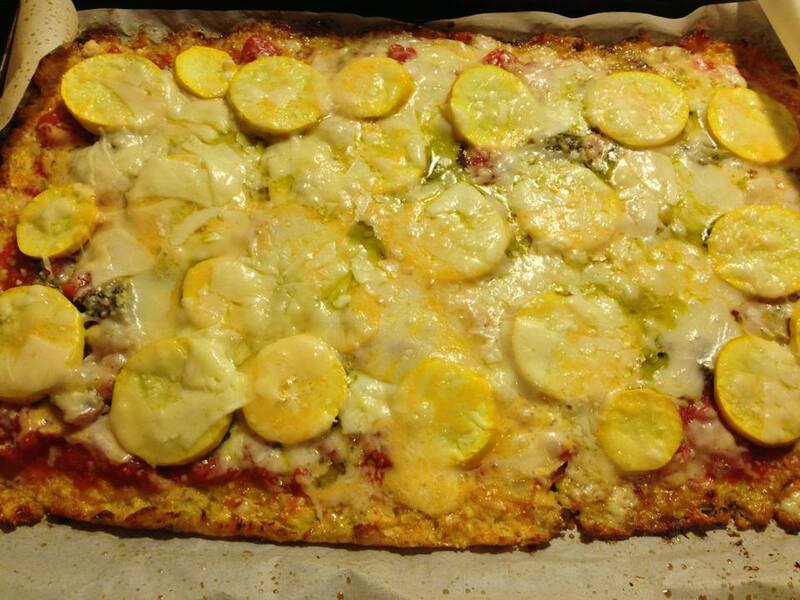 PHASE 3: Cauliflower crust pizza with artichoke and veggies. ​PHASE 3: Raw Mexican cheese fried with chorizo! 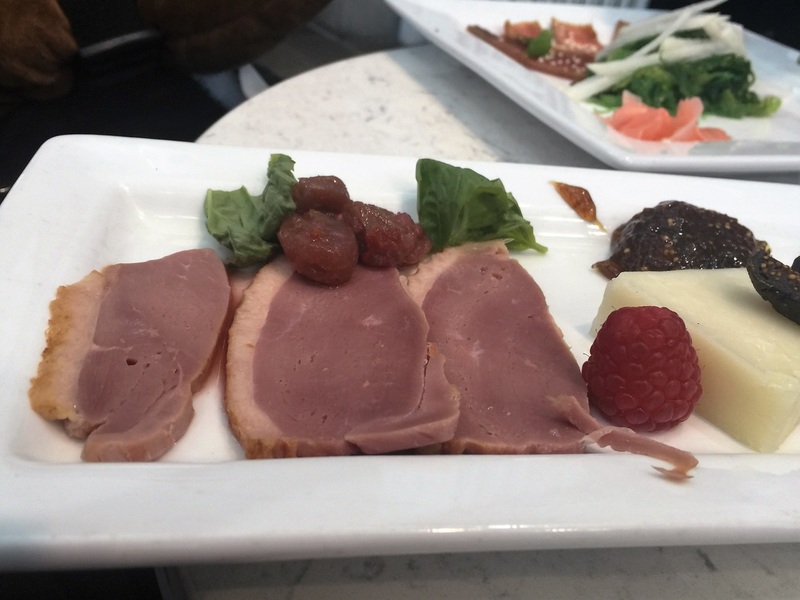 PHASE 3: Duck proscuitto, berries, cheese and herbs. 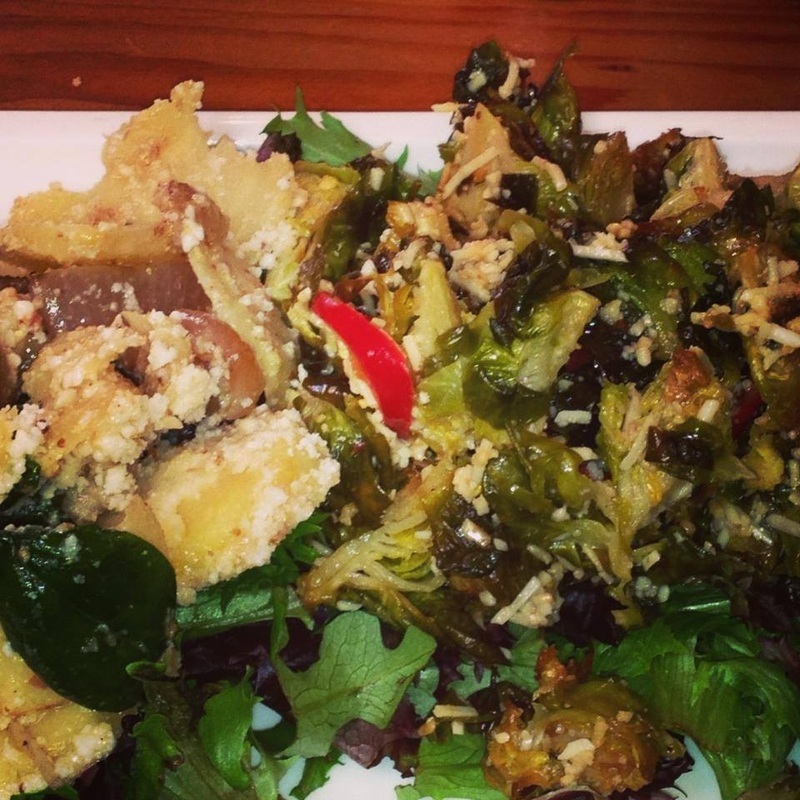 ​PHASE #3: Duck confit with mixed greens, olives, onions, and walnuts. PHASE 3: Caramelized red onions with feta and olive oil. 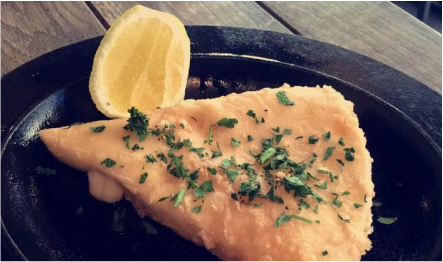 Fried Haloumi cheese with lemon, a sensation to my palate! PHASE 3 appropriate. ​PHASE 3: Slow roasted chicken with tri-colored peppers, onions, and celery. Kind of reminds me of Mom's cooking. 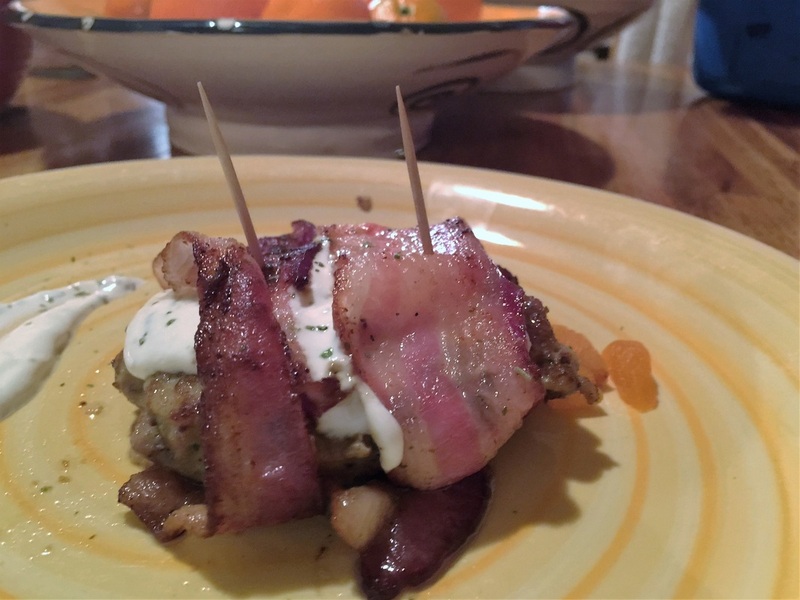 PHASE 3: Turkey burger with rosemary sour cream and pastured bacon! ​PHASE 3: Slow baked pork ribs with just salt and pepper. Perfection! PHASE 3: Olive oil, raw cheeses, cured meats. 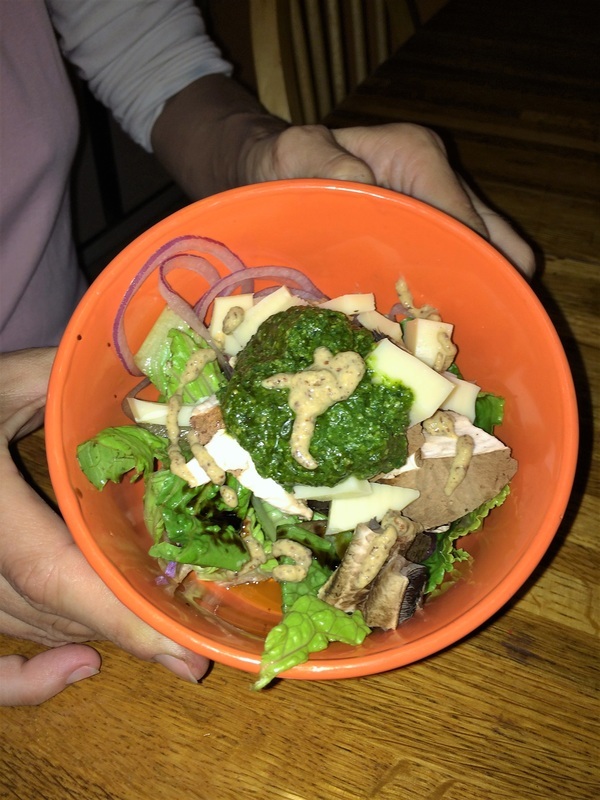 PHASE 3: Mixed greens, onions, handmade pesto, raw swiss cheese, and shredded chicken. Lunch! 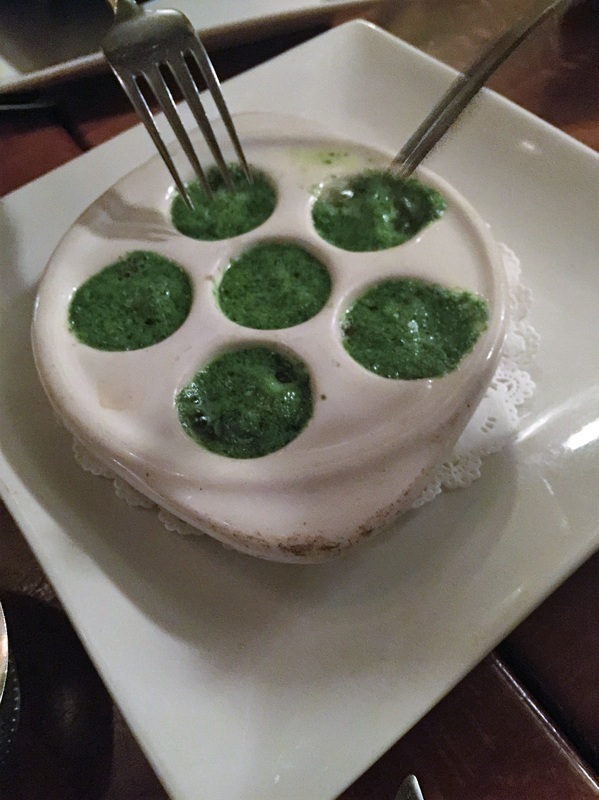 PHASE 3: Escargot, parsley, olive oil, butter. Need I go on? ​PHASE 3: Raw milk Swiss cheese over fermented raw sauerkraut! Yummy after school snack. ​PHASE 3: Tuna, kale, mushrooms, spinach, mustard, vinegar. ​PHASE 3: Scallops, leeks, curry, broccoli, butter. 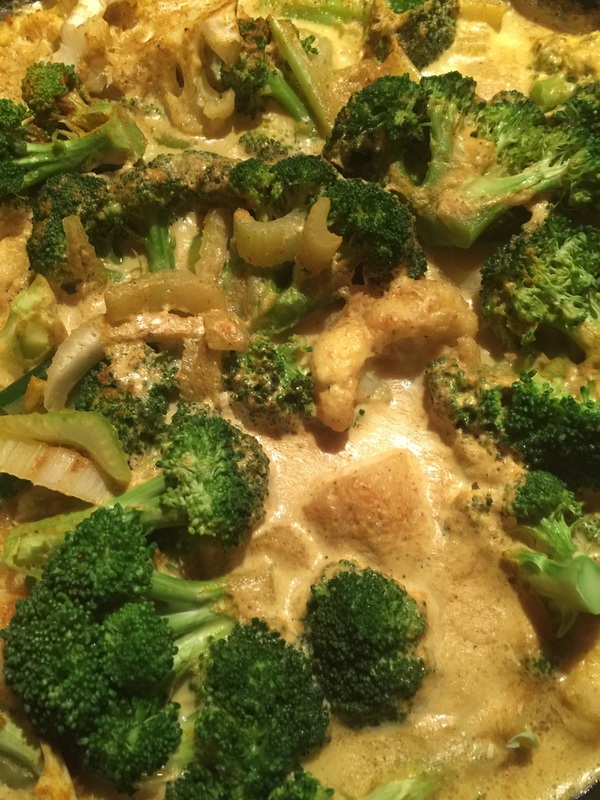 PHASE 3: Scallops, celery, coconut milk, broccoli, curry powder, cauliflower. ​PHASE 3 AND BEYOND: Shrimp, avocado, lime, greens, onions. PHASE 2 if no avocado. 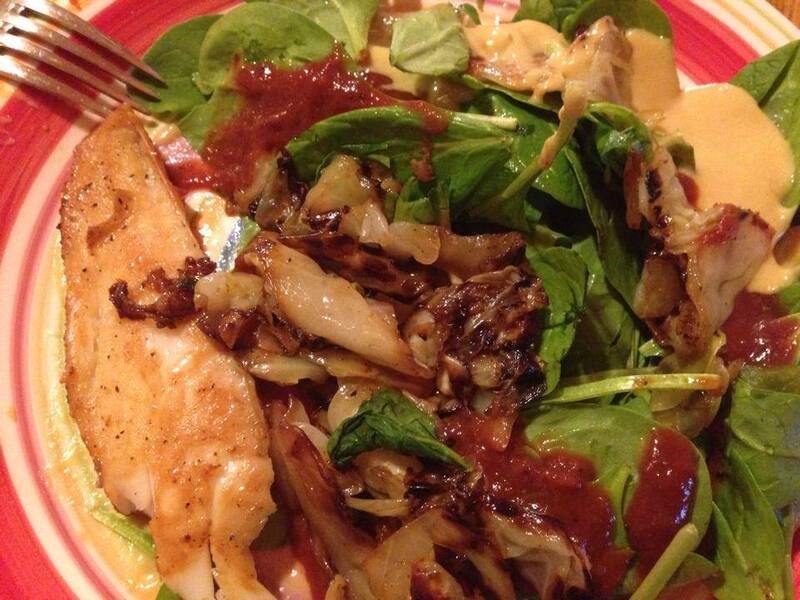 ​PHASE 3: Black cod, shrimp, onions, spinach, zucchini, and tomato puree. Gluten free tamari sauce. ​PHASE 3: Lots of meats, fish, seafood, and herbs, cooked in a boiling turkey broth. ​PHASE 3 AND BEYOND: Spinach with onions and raw Parmesan, salmon and shrimp in cream sauce, and a side of tomatoes and mozzarella. 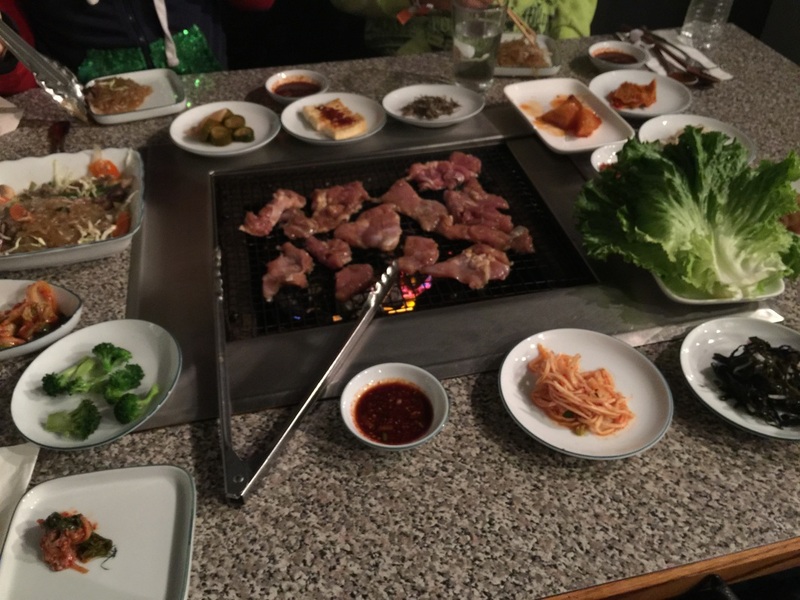 PHASE 3: Korean organic buffet of seafood, meats, and preserved veggies! Heavenly! ​PHASE 3: A grass fed burger on a salad with mustard, homemade olive oil mayo, and hand made pickles, plus raw cheeses! ​PHASE 3: Mozzarella tomato salad with aged balsamic vinegar and black pepper. ​PHASE 3: Duck over broccoli. Good fats! 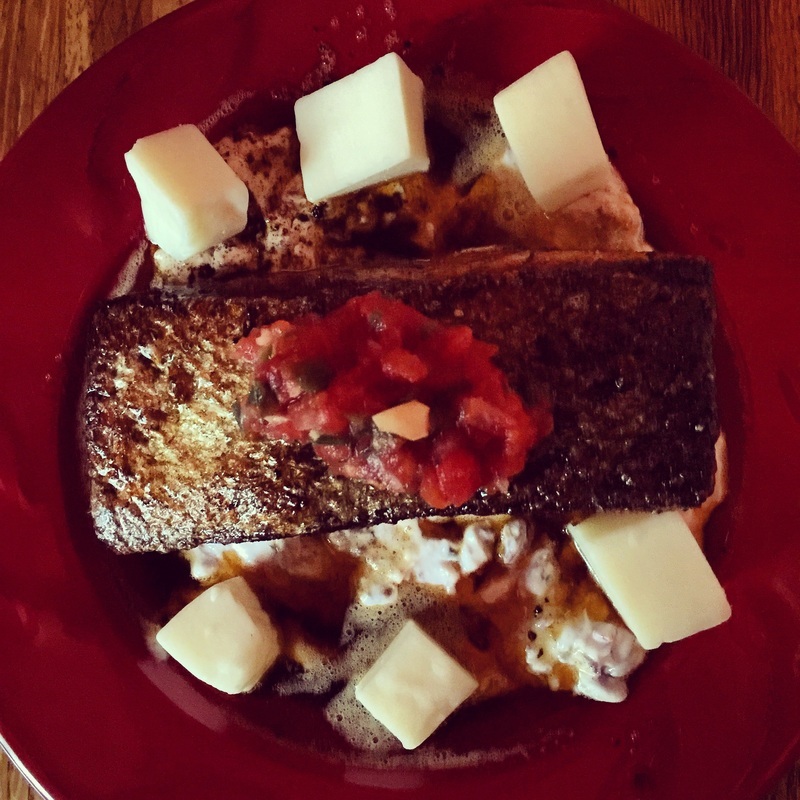 PHASE 3: Salmon seared in raw butter, sauerkraut, and raw cheeses. Yum! Top with salsa! ​PHASE 3: Heirloom tomatoes, mozzarella di buffalo cheese, balsamic vinegar and salt. ​PHASE 3: Scrambled eggs with salsa, mixed greens, cheeses, ghee. 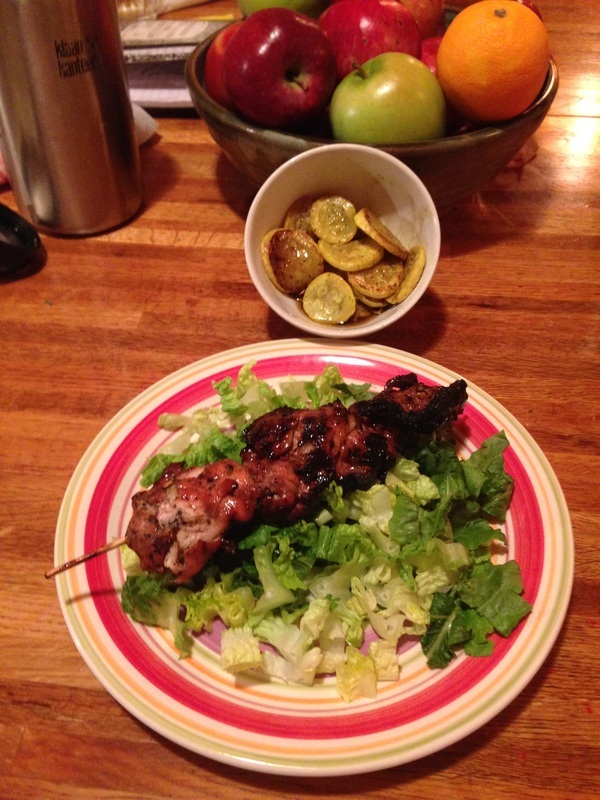 ​PHASE 3: Pastured chicken dogs with cabbage and burnt Brussels sprouts. Add olive oil and salt, pepper. 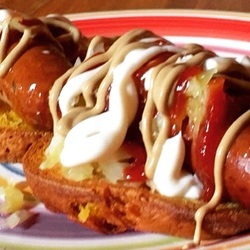 PHASE 3: Grass fed beef hot dogs, sugar free condiments, and raw sauerkraut on coconut paleo bread. ​PHASE 3: Pastured eggs with raw milk cheddar cooked in red palm oil. Side of nonfat Greek Yogurt with mushrooms and paleo ketchup. 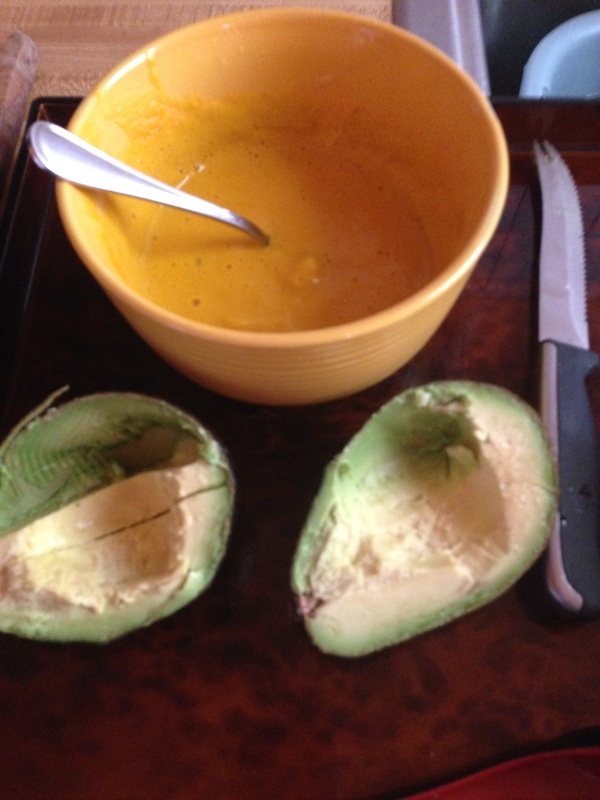 PHASE 3: Curry carrot puree soup, avocado with salt. PHASE 3: Shredded fennel, cabbage, olives, seared turkey and tarragon. Yummy! PHASE 3: BBQ chicken, dark meat, raw sauerkraut, homemade. Diced cucumber. ​PHASE 3: Oysters baked with mayonnaise and parmesan. 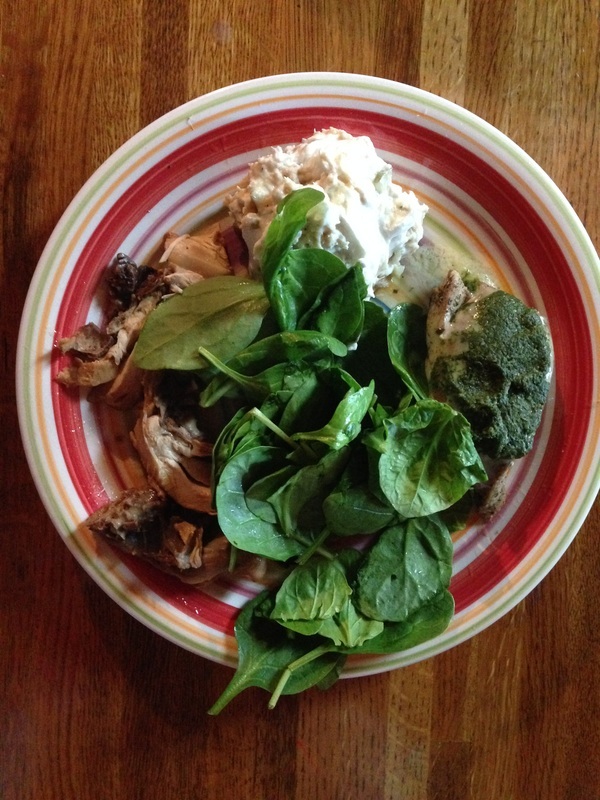 PHASE 3: Chicken, duck, tuna salad, pesto, nonfat Greek yogurt, and spinach salad. 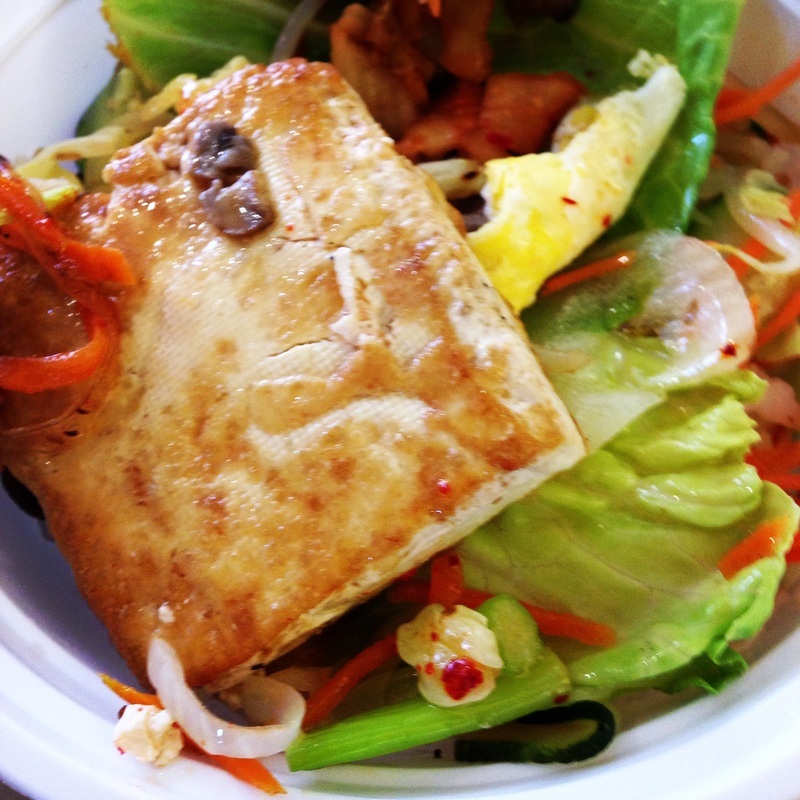 ​PHASE 3: Pan fried mackerel, tofu, onions, and ginger. PHASE 3: Eggs with steamed radishes, beets, and mushrooms. PHASE 3: Crab salad with mayo and veggies, cauliflower and snow peas, cubes of cucumber. Delicious and nutritious! 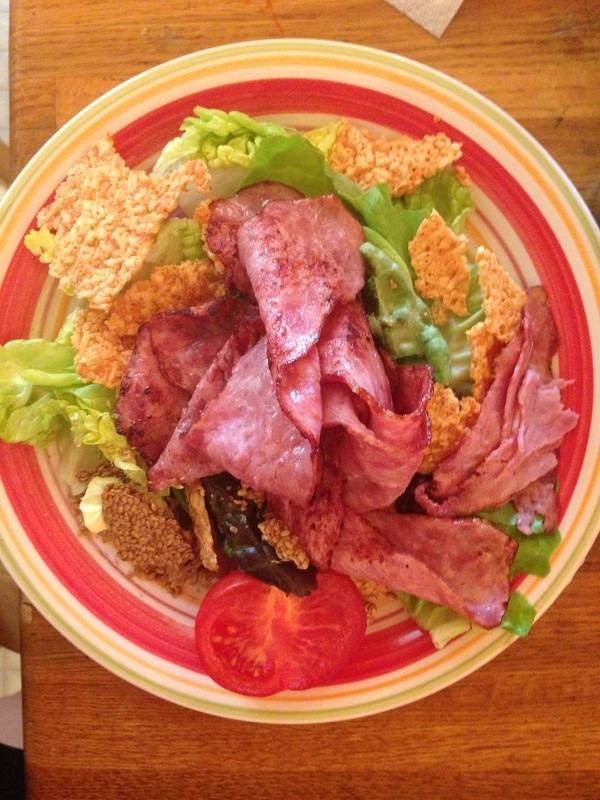 PHASE 3: Turkey bacon, olive oil and aged balsamic, melted ghee, parmesan crisps over romaine lettuce and crunchy flax seed crackers. ​PHASE 3: Steamed cabbage, seared tilapia, green beans, guacamole. Ole! PHASE 3: Three kinds of raw nut butters, with raw seeds, chopped fruit. Powerful brain foods here! PHASE 3: Raw tuna with olives, guacamole, mushrooms, spicy jalapenos! 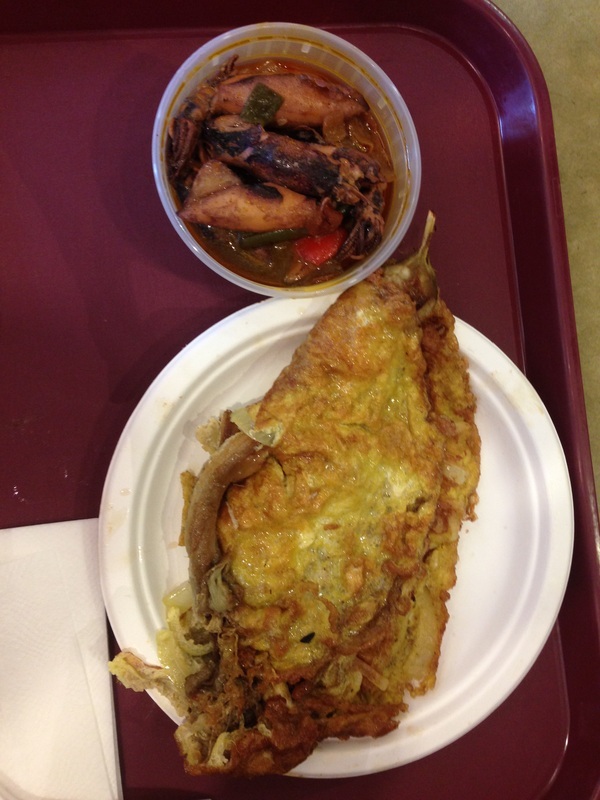 PHASE 3:Filipino eggplant in an omelet, calamari sauteed in peppers and garlic. 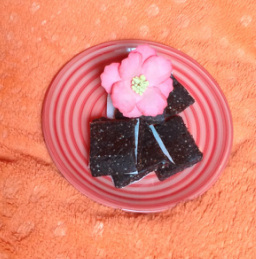 PHASE 3: Coconut flour, raw chocolate cake, made with Xyla, not sugar. Cream cheese frosting with rose petals, also sugar free! PHASE 3: Grilled lobster tails, butter, blue cheese, broccoli, zucchini. 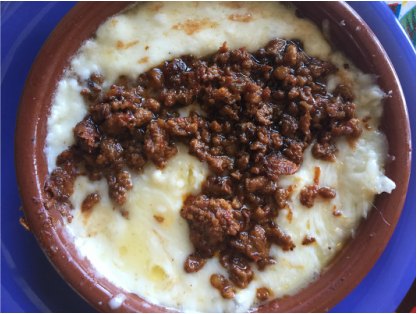 Tasty and easy! 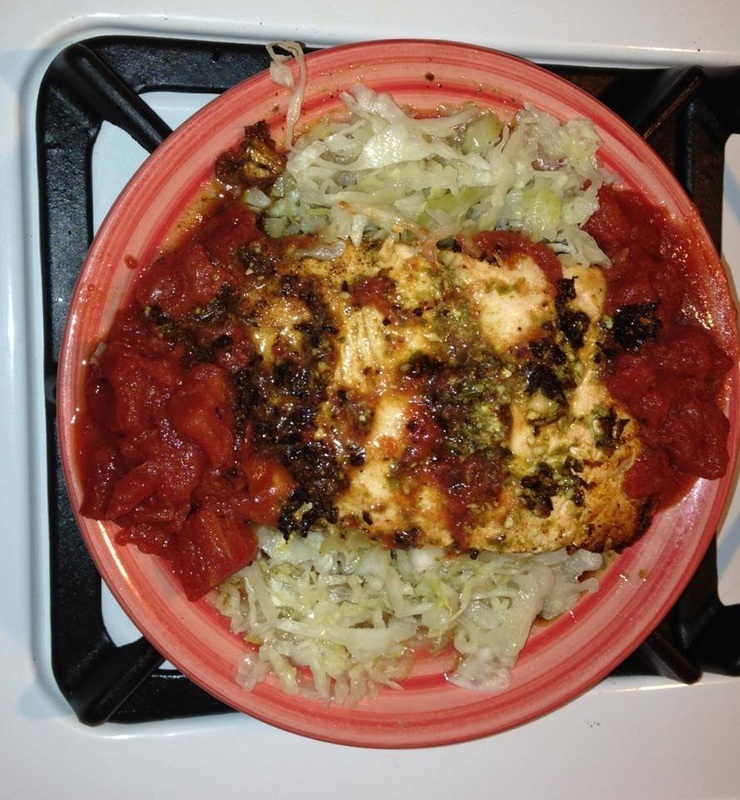 PHASE 3: Sesame encrusted salmon, fried in a pan, cruciferous cabbage, Brussels sprouts, onions, and raw cheddar cheese! PHASE 3 lunch and BEYOND! 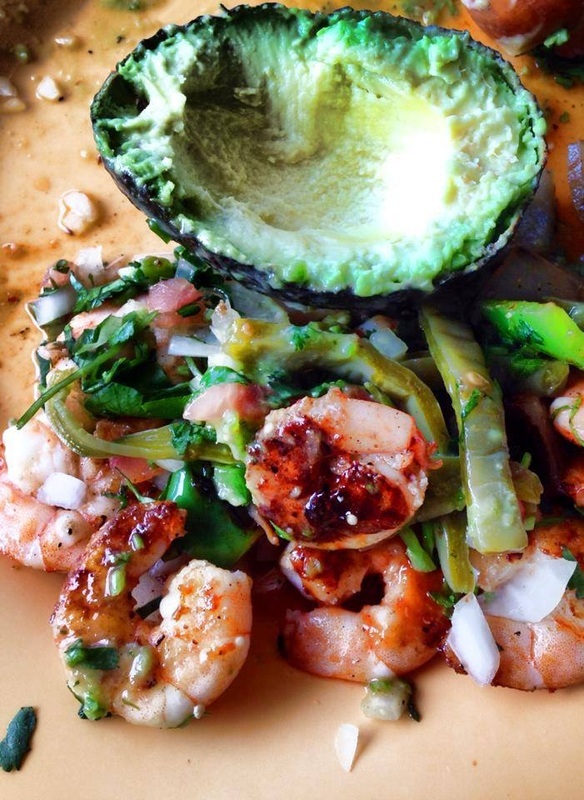 Grilled onions, chili peppers, nopales cactus, shrimp and an avocado! 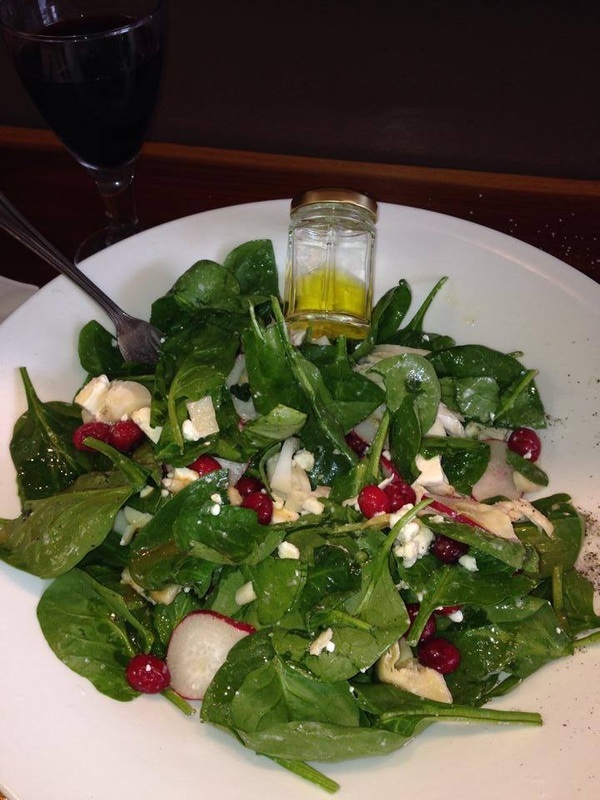 Spinach, pickled cranberries, raw goat cheese, extra virgin first cold pressed olive oil, radishes, hearts of palm, hearts of artichoke, pastured shredded chicken breast. Mmmm! Lunch for PHASE 3 and BEYOND! 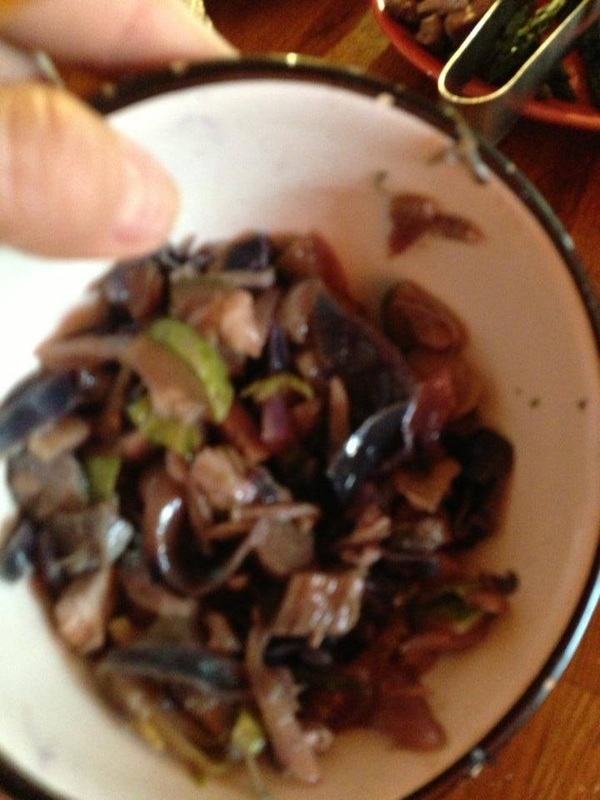 Clams in water, sardines in brine, mushrooms, broccoli slaw, tomatoes. 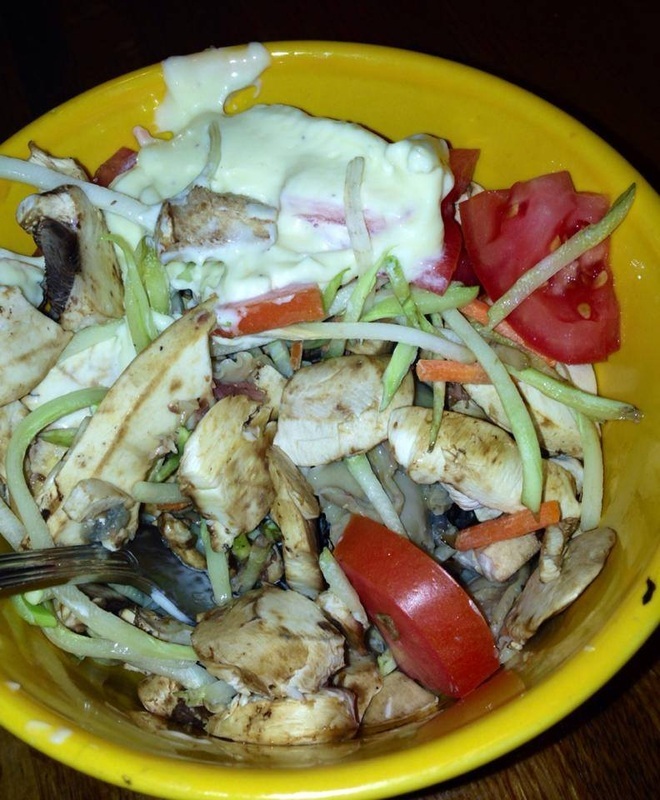 Top with mayonnaise made with olive oil, not soy oil or canola oil ! Yum and good fiber, protein rich, right balance of omega 3-6-9 fats and lineolic acid, vitamin K.... Need I go on? Brussels sprouts seared until blackened a little hot red pepper slivers, Carmelized onions, and raw milk Parmesan that's shaved by me. PHASE 3 friendly and BEYOND! 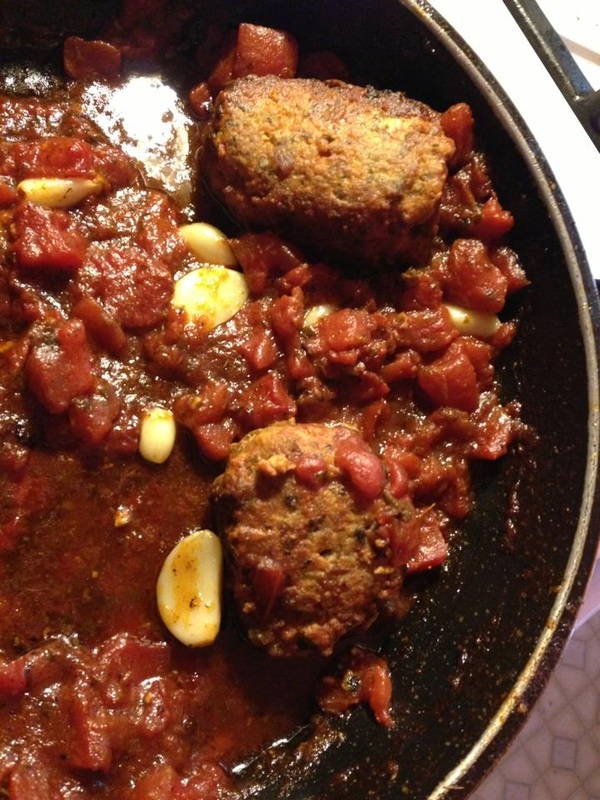 Turkey meatballs stuffed with home minced basil and garlic. More garlic and Lakanto sprinkled into diced tomatoes and green onion sauce. A little coconut oil in saute pan. PHASE 2 appropriate. 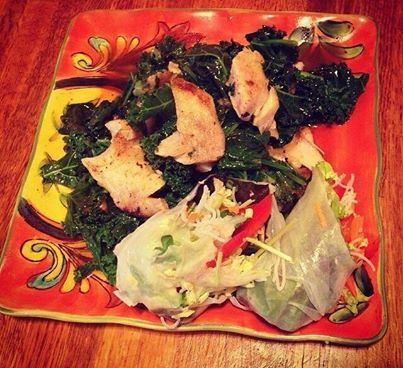 For PHASE 3, add raw cheese and wrap inside a Paleo wrap made from coconut flour. Delectable!! PHASE 3 pizza: steamed and hand crushed cauliflower, mixed with raw eggs, raw hard cheeses, garlic. Lay in pan and bake 25 minutes at 350•. Pull out and add raw cheeses, pesto, sugar free red sauce and anything you want on top! I put yellow zucchini. Back in the oven for 30 minutes more until edges are crispy, and top and bottom is golden brown. 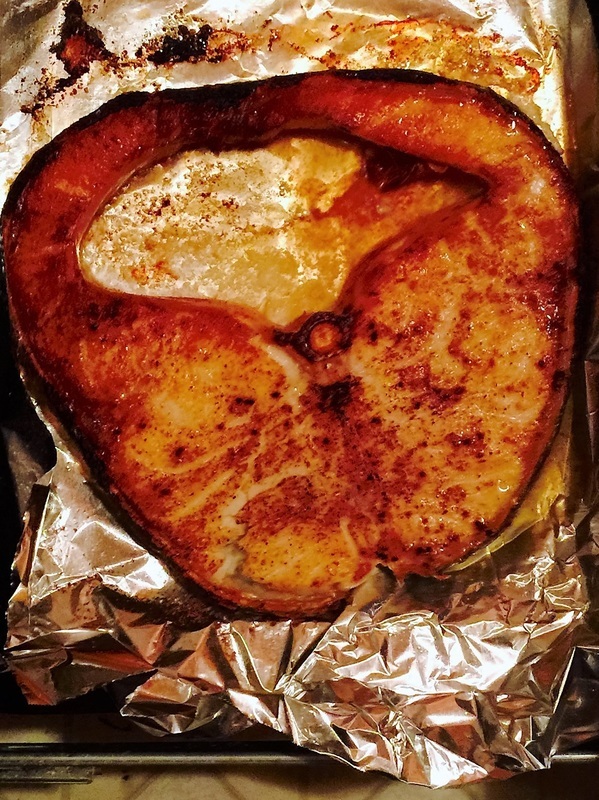 10 ounces salmon seared in MCT oil and coconut oil. 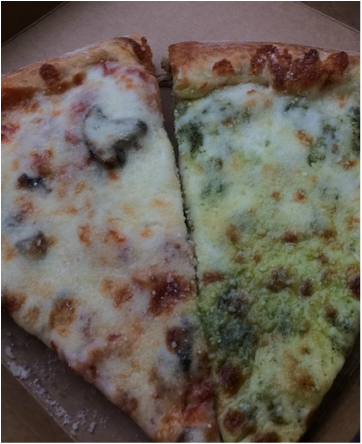 Topped with pesto. On the side is stewed tomatoes and raw sauerkraut . Yum! PHASE 3 soufflé : egg whites whipped until fluffy, add Chinese mustard greens, canned crab, garlic, ginger and raw dairy cheese. Spray pan with coconut oil spray and bake at 375• for 35 minutes until golden brown. Chicken livers with whole garlic cloves , seared in MCT oil, add oyster mushrooms, green zucchini. Burn a little bit. 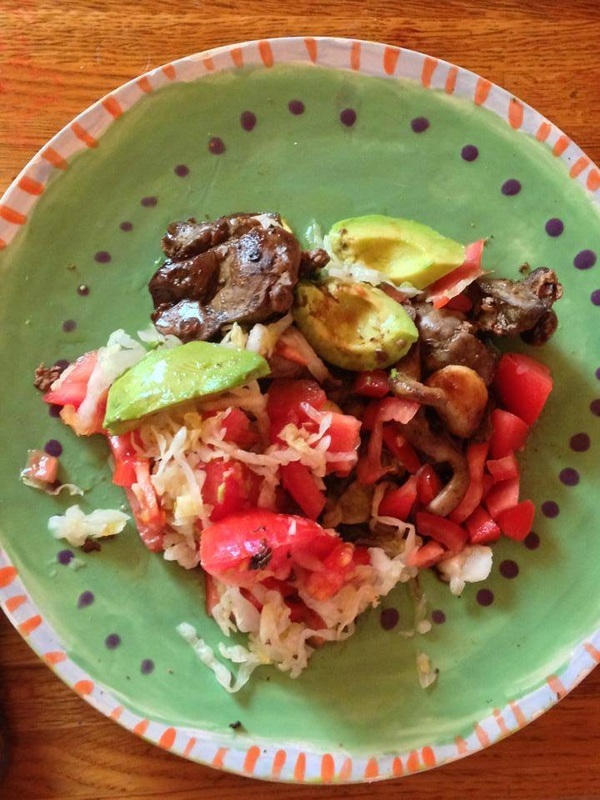 Finish off by tossing in raw sauerkraut , avocado slices, raw tomatoes. Drizzle with organic ghee and balsamic vinegar ! Yummy!! PHASE 3 and BEYOND! 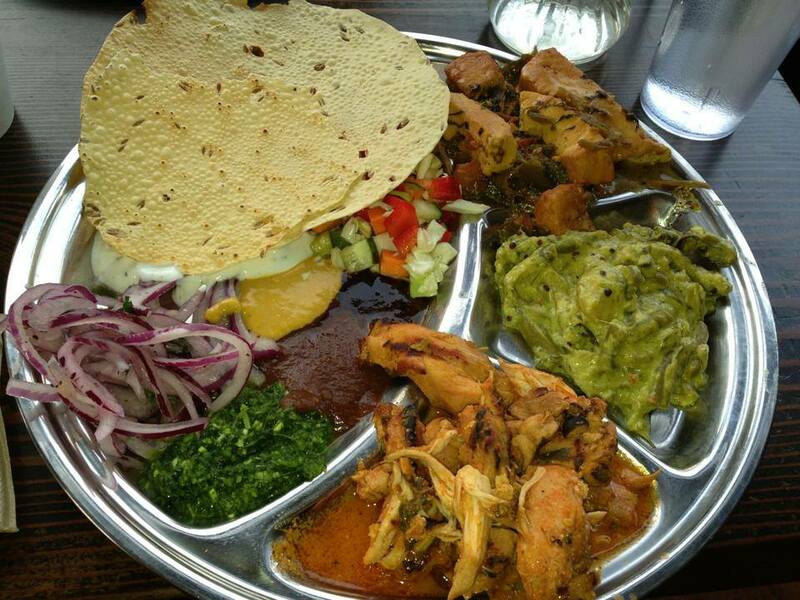 Indian Thali meal: I was at a restaurant where the Indian gentleman has pots of food and you get on the tray a little from each pot, plus roti bread and spicy chutneys . I told him I don't eat rice, grains, or legumes . He hooked me up with the grain free version with wafers, home made Indian cheeses and vegetables, greens and onion curry, chicken tikka masala with tomatoes, cabbage salad, raita, cucumbers, and a BIG FAT SMILE! 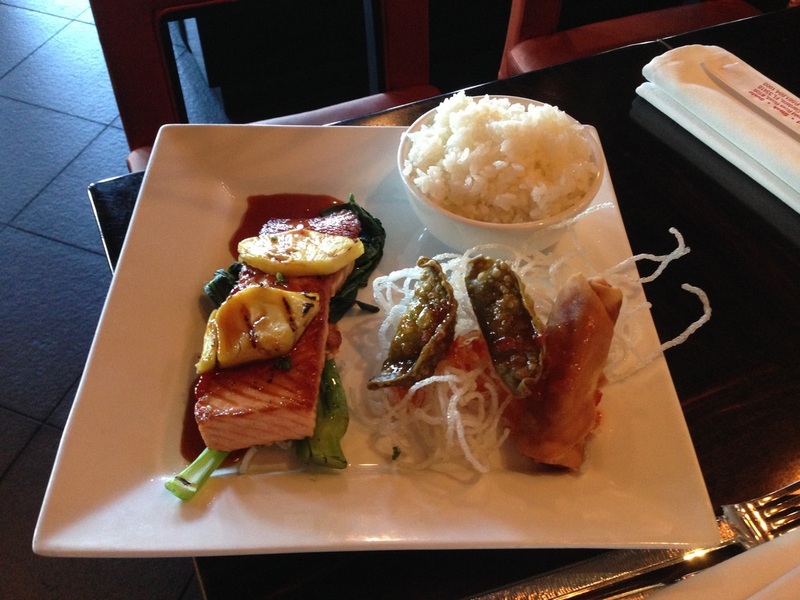 Thank you Kasa restaurant for keeping me on my low carb lifestyle! The wafer has seeds and lentil flour, so skip if on PHASE 3. PHASE 3 and BEYOND! Tilapia tacoson Julian's Bakery coconut wraps. Grain free, sugar free. Add curry powder, raw chipotle sauerkraut, tomatoes, avocados, raw milk cheddar, and organic pastured sour cream! 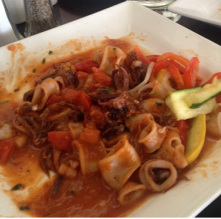 PHASE 3: Calamari with tomatoes, onions, garlic, zucchini, peppers, and raw shredded parmesan! 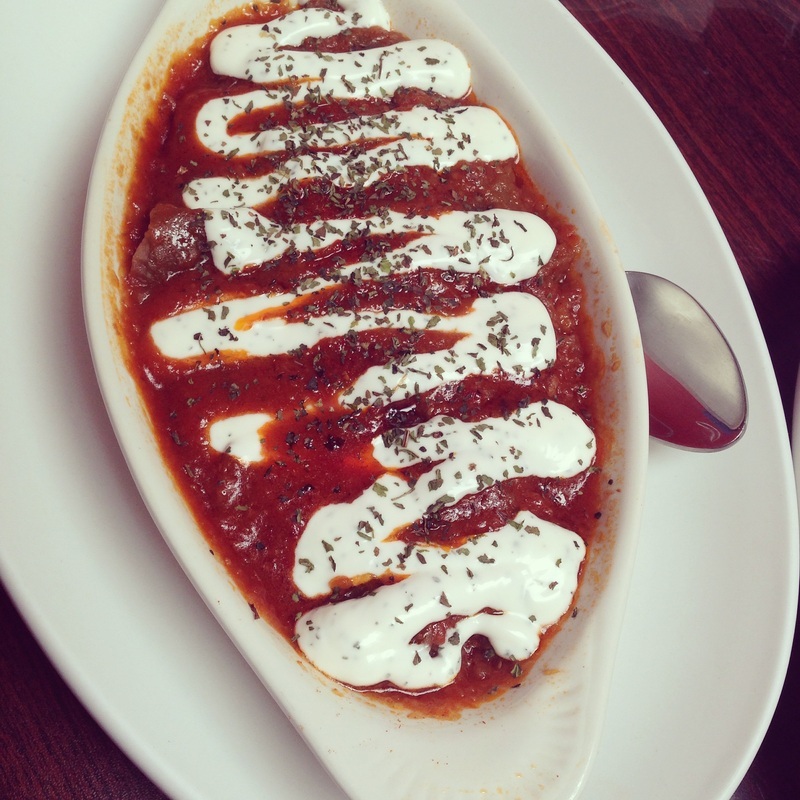 PHASE 3: Eggplant and tomatoes, Afghani style with homemade yogurt drizzled across the top. 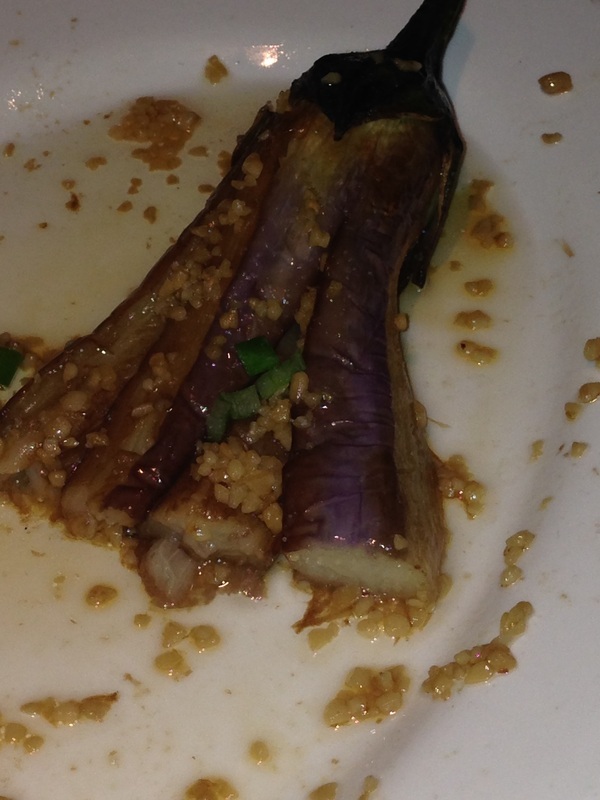 PHASE 3 and beyond: Garlic whole pounded eggplant. 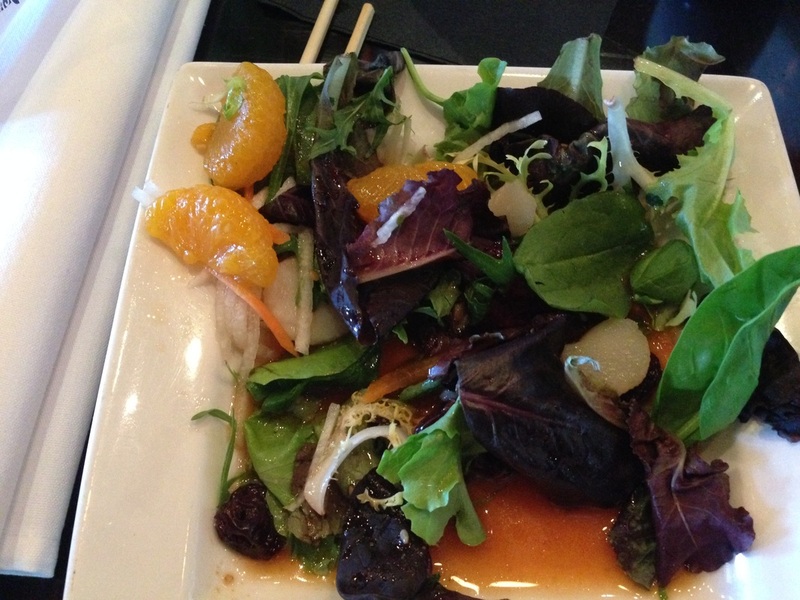 PHASE 3: Citrus and sesame salad! PHASE 4: Salmon, eggplant, onions, carrots, basil, and rice. Thai peanut sauce on top with sesame oil. Delete the carrots and rice if enjoying a low-carb lifestyle. PHASE 4: Canned mackerel, fresh salsa, and organic corn chips. PHASE 4: White rice with pork , pan fried with cucumbers, lettuce, carrots, and fish sauce. PHASE 4: Belgian garlic fries! 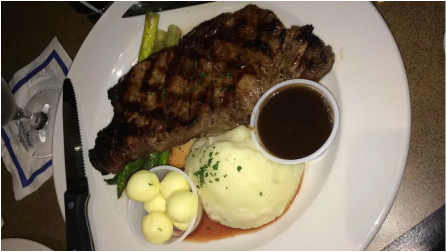 PHASE 4: Steak with mashed potatoes, asparagus, gravy and butter. PHASE 4: Gluten free, but not raw cheese pizza. A treat is not a cheat. ​PHASE 4: Heavy bean chili with pastured hot dog, cheddar, and spinach salad with pastured butter. 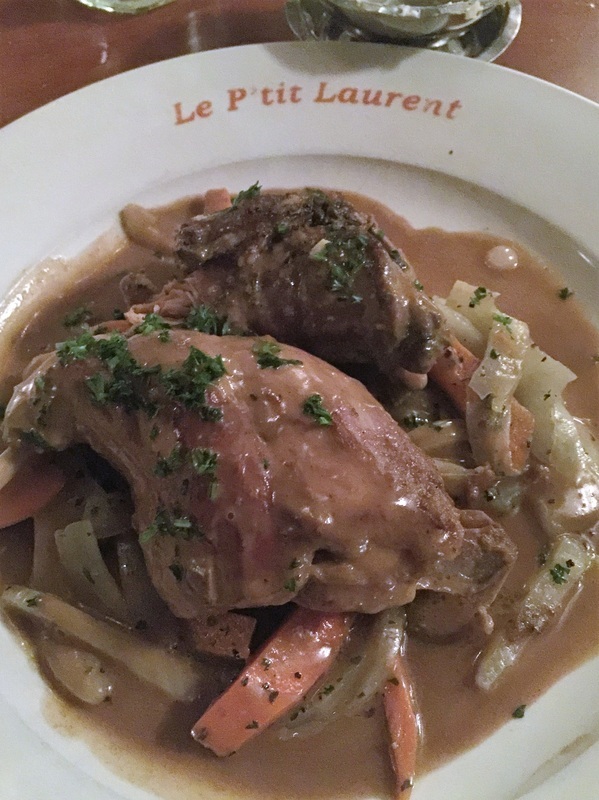 ​PHASE 4 AND BEYOND: Rabbit leg with root vegetables. PHASE 4: Egg whites scrambles with raw cheese, baby organic sausages, salsa, spinach, and organic corn tortillas. PHASE 4: Grass fed garlic and steak, smothered in onions, side of fries! PHASE 4: Chicken, creamy spinach, mixed veggies tossed in butter and olive oil. Pepper and salt. PHASE 4: Rabbit braised with a red wine sauce, carrots and onions. If on PHASE 3, skip carrots and add something green and leafy! 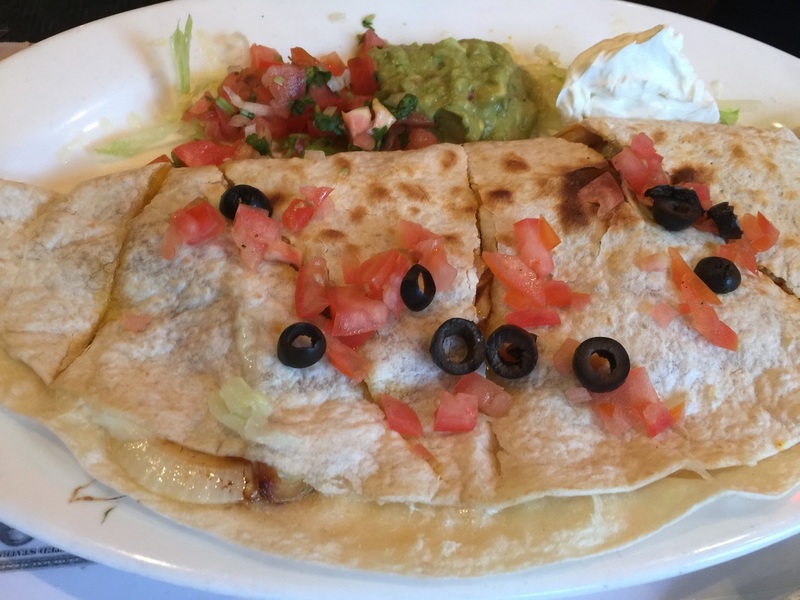 PHASE 4: Quesadillas, chicken, peppers, onions, sour cream, guacamole, and pico de gallo. Yum! ​PHASE 4: Steak that is grass fed and grass finished, garden veggies and salad with a balsamic vinaigrette. Stuff into a corn taco shell, or delete the grains for PHASE 3. ​PHASE 4: Radishes fresh from the garden, steamed and served with seaweed butter and heirloom bread. PHASE 2 without butter or bread, PHASE 3 without bread. ​PHASE 4: Chili bacon cheese fries....need I say more? ​PHASE 4: Eggs, cheeses, sour cream, avocado, corn tortilla, beans, and homemade salsa. 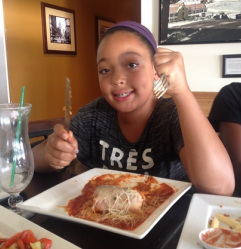 Spicy sauce will make you smile. 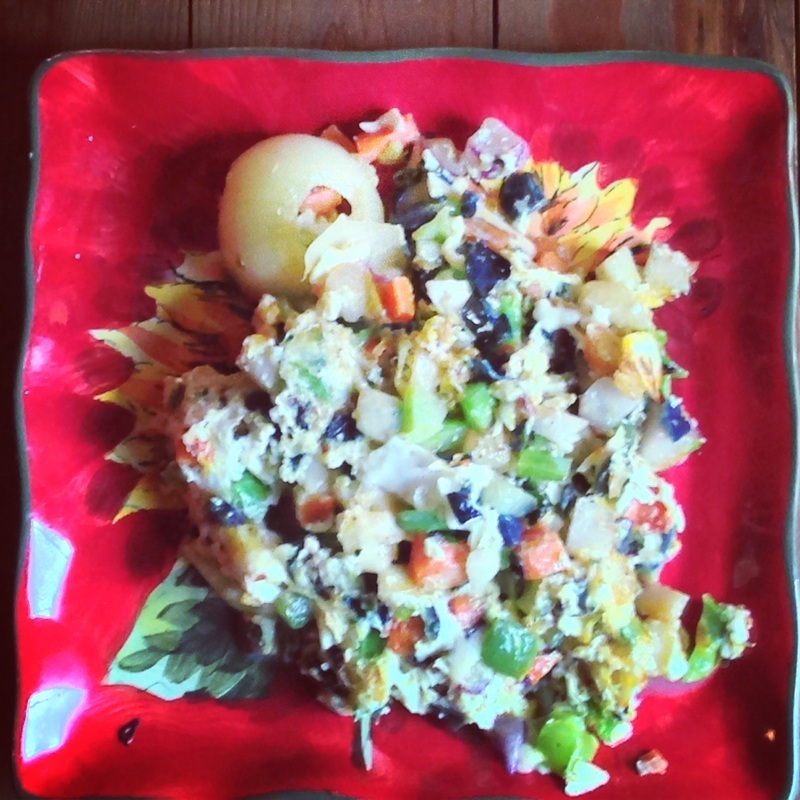 ​PHASE 4: Stuffed potato pancake with mixed veg. ​PHASE 4 AND BEYOND: Korean tofu with garlic, tomatoes, and chili. 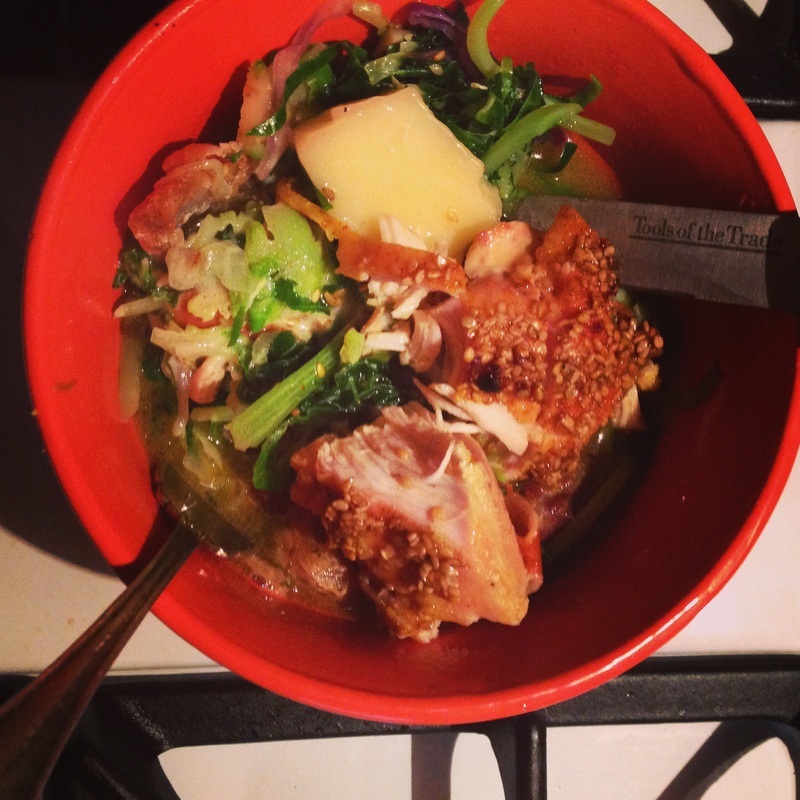 ​PHASE 4: Pastured chicken dogs, olives, cheeses, greens, carrots, raw cauliflower. 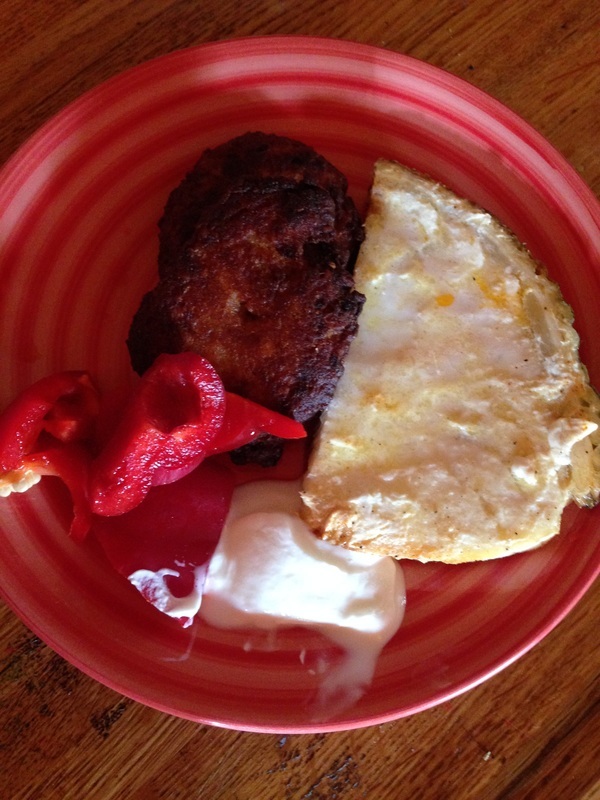 PHASE 4: Egg white omelet with Greek yogurt and potato pancake. Red pepper as a side sweet yummy pop of color! 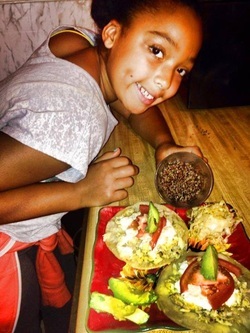 ​PHASE 4: Lobster tacos, warm butter melted on top, tomatoes, cabbage, and corn salsa. Saffron aioli. Give up the corn tortillas and corn salsa if on P2 or P3. 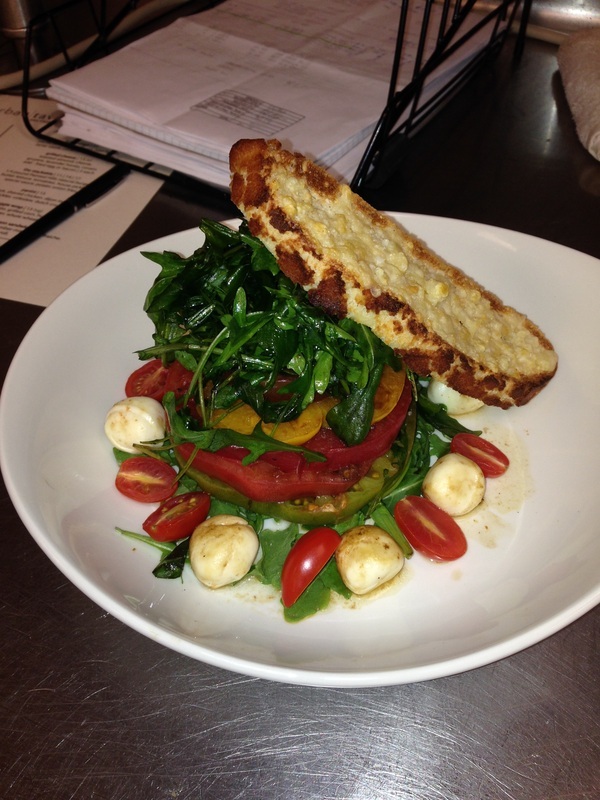 PHASE 4: Heirloom tomato, fried arugula, and spinach greens. Baby mozzarella balls and drizzled balsamic. If on P3, leave off garlic bread! ​PHASE 4: Carrots, yellow and green zucchini, bake slowly until crispy. Add nutritional yeast flakes, grass fed ghee, and curry powder. ​PHASE 4: Steamed turkey, scallion and ginger wontons. If you choose to eat grains, make them steamed not fried. 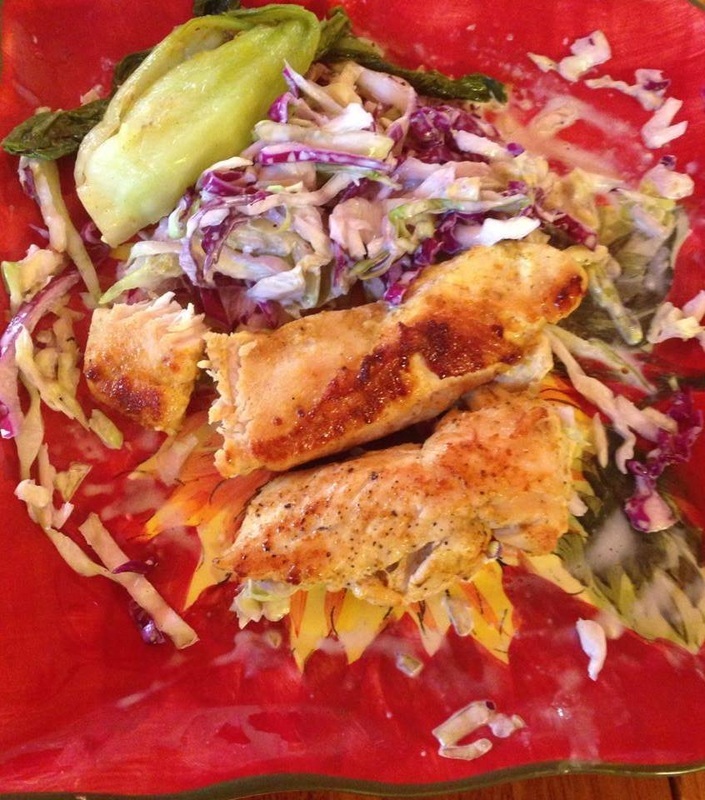 May also be made Paleo by using rice wrappers or even better, use cabbage leaves as the outside layer. ​PHASE 4: BBQ dark meat chicken, with sugar free BBQ sauce, asparagus, fermented carrots, garlic, and cucumbers over nonfat Greek yogurt. ​PHASE 4: Herb rubbed chicken breasts with carrots, onions, and red palm oil. ​PHASE 4: Mussels steamed with tomatoes, wine, garlic, and fries! ​PHASE 4: Tofu seared with carrots and scallions. 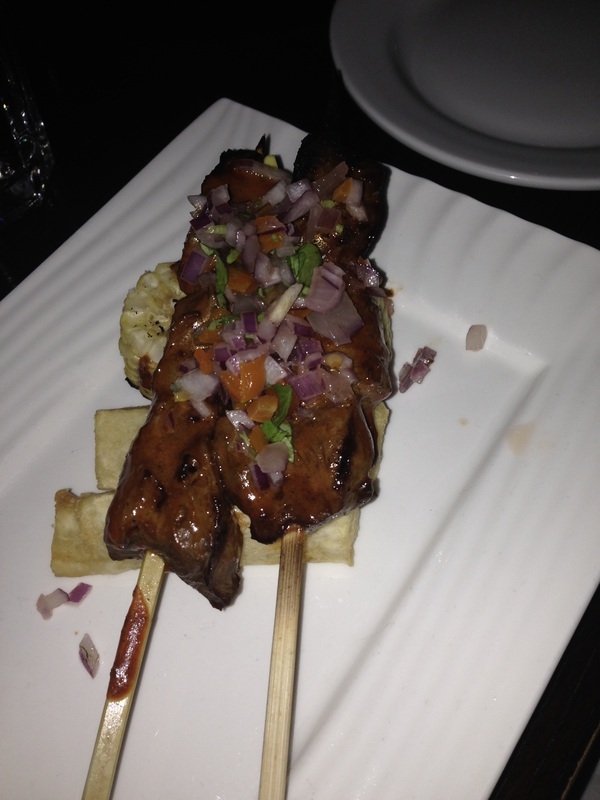 PHASE 4: Beef heart on a stick with onions and tomatoes. Underneath is plantains and a small piece of organic corn. Delete the starch for PHASE 3. 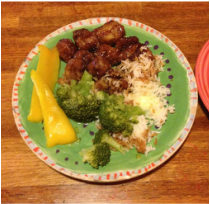 ​PHASE 4: Homemade orange chicken, raw yellow peppers, broccoli, and steamed rice. PHASE 4 and BEYOND! Gluten free Paleo burger: pastured beef, egg over easy on top, pastured bacon, raw cheese, Paleo mayo and ketchup from Trinity Hills Farms, lettuce tomato avocado, bun made from tapioca starch and brown rice flour! Mmmmm, good. 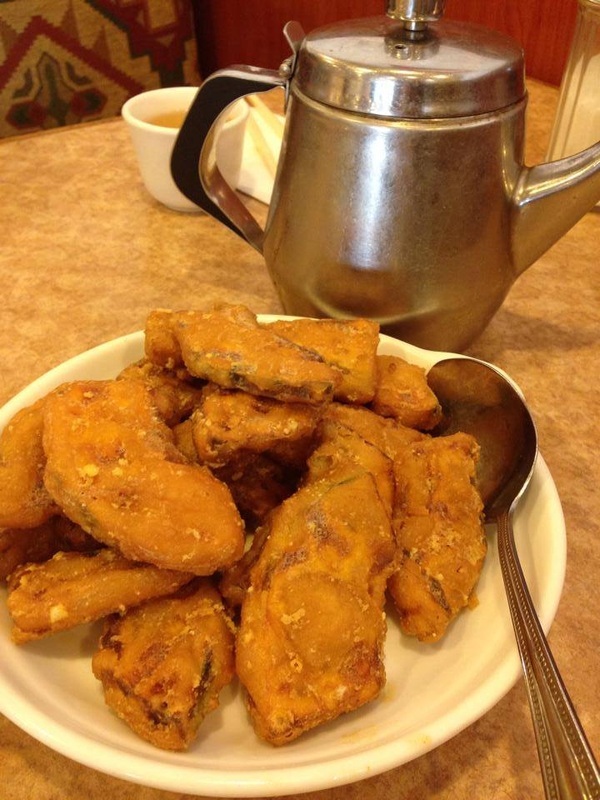 PHASE 4 appropriate...fried pumpkin with salted egg yolk. Heaven, I'm in heaven! PHASE 4 and BEYOND! 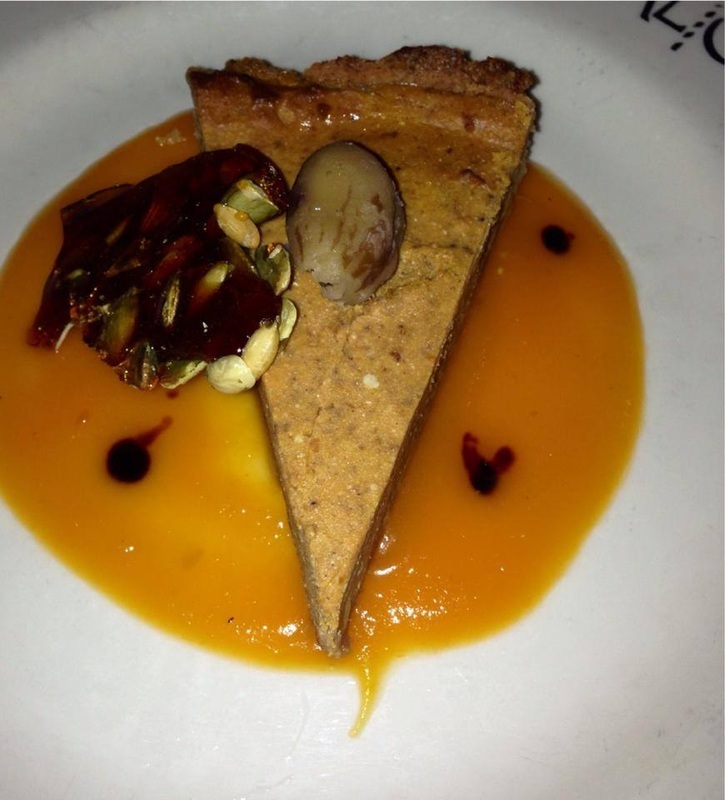 Pumpkin cheesecake with coconut flour crust and made with Lakanto. 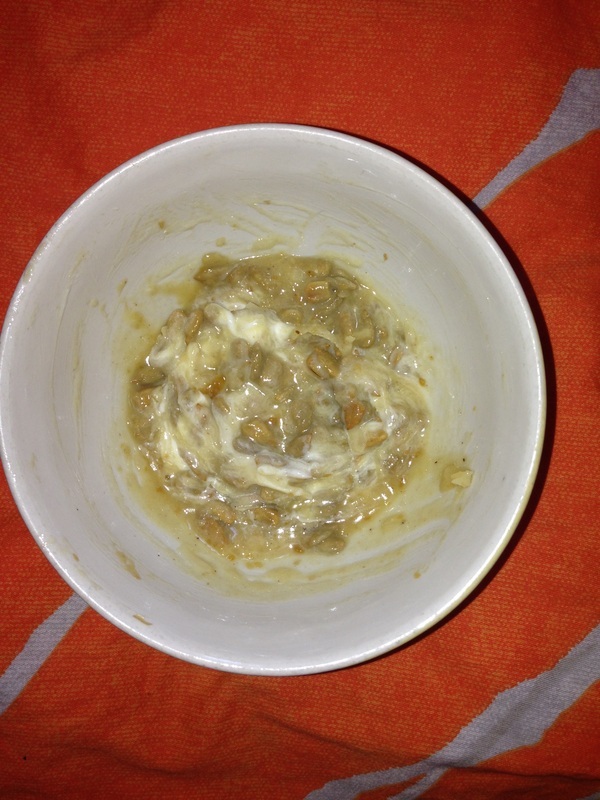 Pumpkin seeds and butter, raw of course, and XYLA made into a brittle, on top. PHASE 4 and BEYOND delicious! Raw chocolate Paleo brownies with pistachios, flax seed, saffron, coconut flour, raw butter, and Lakanto. PHASE 4 and BEYOND snack... Plantains fried in coconut oil, served with organic fermented sour cream. 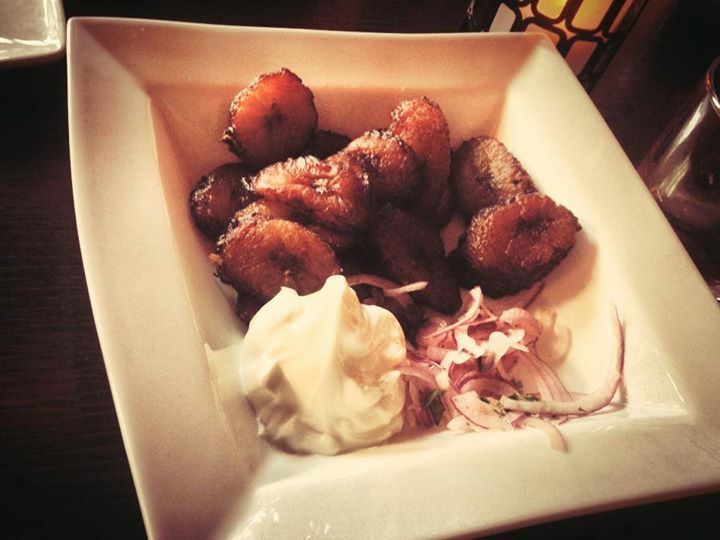 Resistant starch in plantains are good for energy without sacrificing your desire to stay lean. 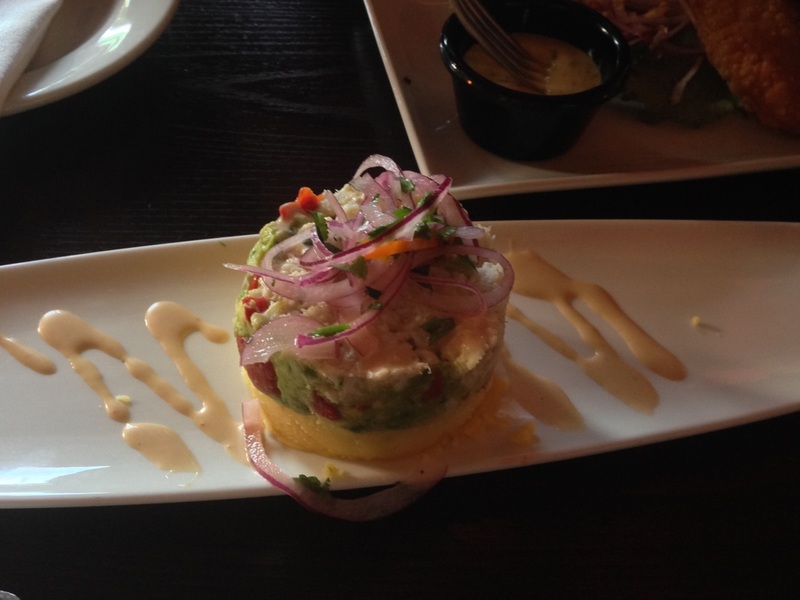 Peruvian Causa is PHASE 4 appropriate. It is saffron with puréed potatoes, fresh crab, avocado, pickled onions. Mmmmmm! Healthy after school snacks: avocado with lemon and pink Himalayan salt, and kumquats! 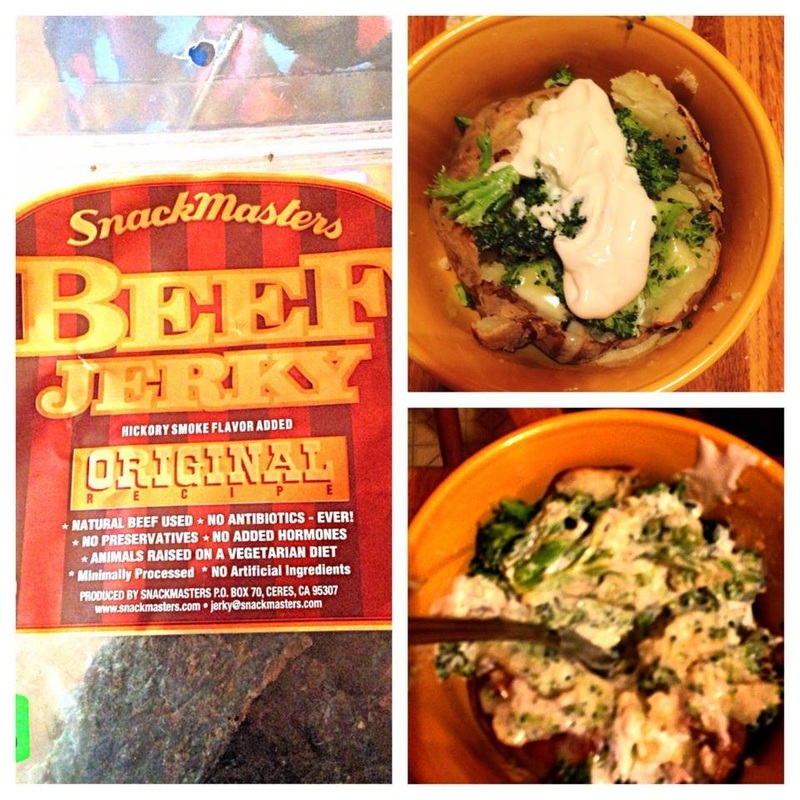 Time for children's grain free sugar free meal: organic beef jerky from local farmers, then baked potato bar: raw white cheddar cheese, raw butter, organic Greek yogurt, organic broccoli florets steamed, side of turkey chili. PHASE 4 and BEYOND! PHASE 2 if you leave out rice rolls... Seared swai fish in MCT oil, kale and spinach. On the side, Vietnamese rice rolls stuffed with raw shredded carrots, basil, sprouts. PHASE 4 and BEYOND. Grass fed steak, onions, garlic, potatoes, tomatoes, and rice. 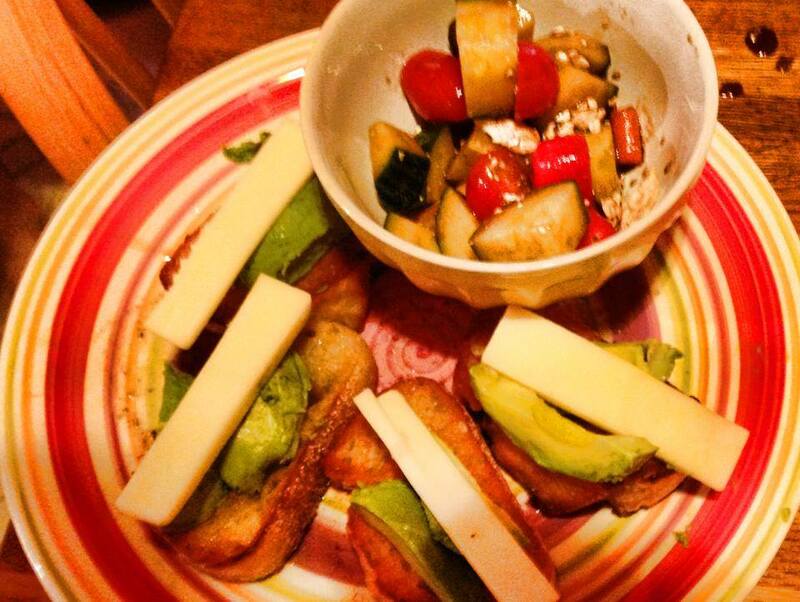 Dinner PHASE 4: Julian's paleo bread, coconut flour variety, fried in butter, add avocado and raw New Zealand cheddar. Greek salad on the side with Persian cucumbers, grape tomatoes, carrots, fat free feta cheese, extra virgin rosemary infused olive oil, and aged balsamic infused with lavender. Can you say WOW factor with lots of good fats? 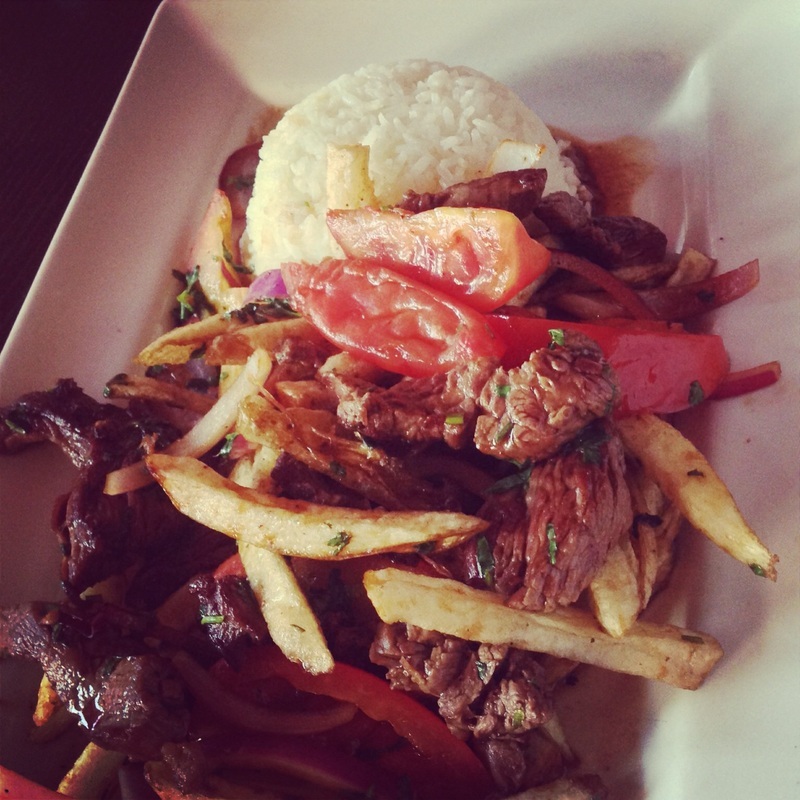 Peruvian white fish and seared shrimp with onions and tomatoes. Can you say every PHASE?? 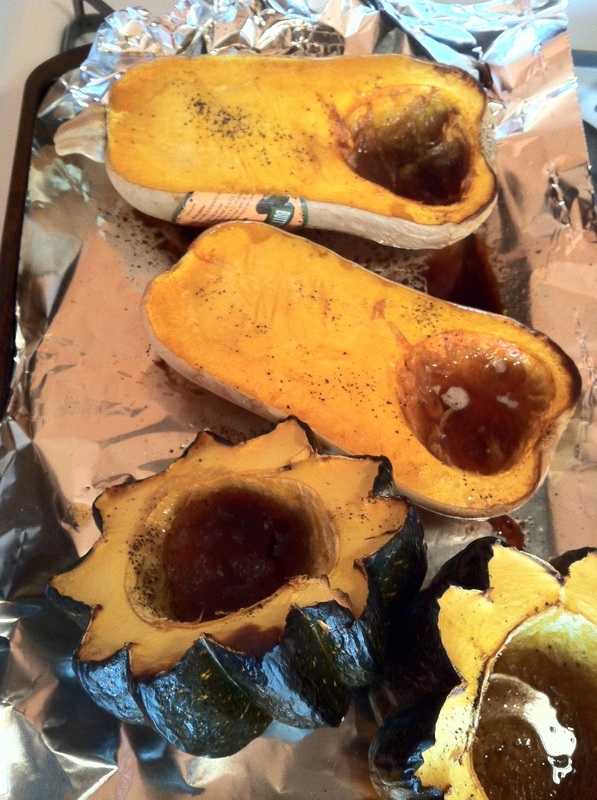 PHASE 4: Baked squashes and raw butter, coconut oil, and lakanto. Mmmm. 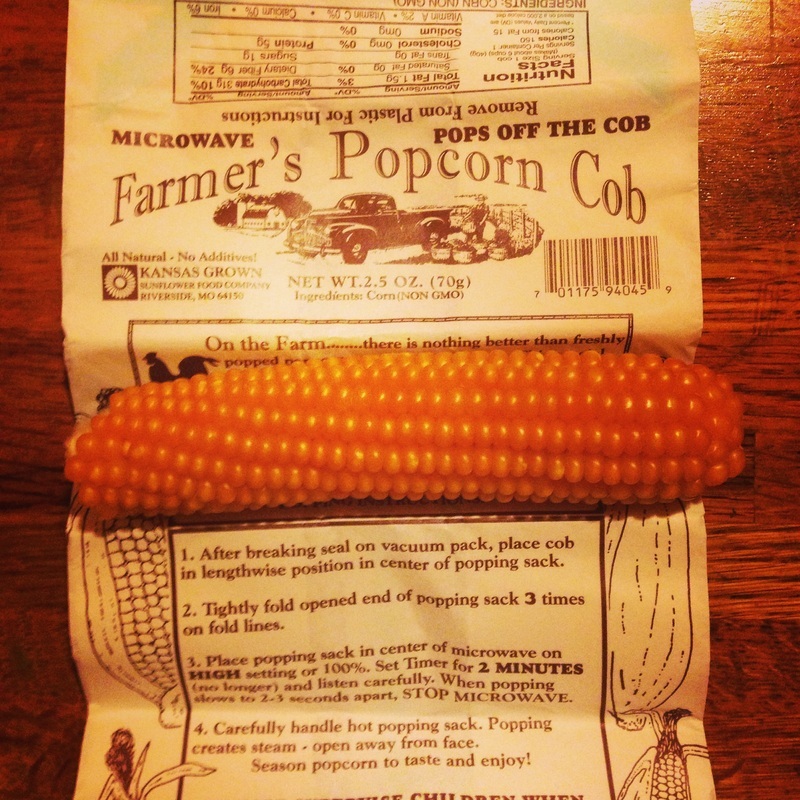 PHASE 4: Popcorn from the original cob itself! Fun to make and serve. Make sure it is GMO free and organic. 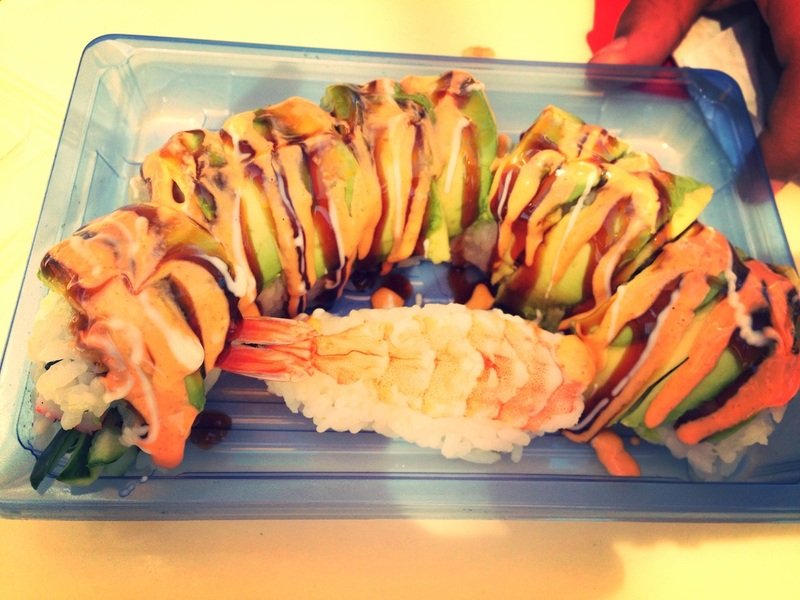 PHASE 4: Sushi is a good choice for resistant starch and high fat, good fat protein. Resistant starch resists turning into fat in the body, and can be used before or after a strenuous workout. Ok, if you must have a pasta, make sure it has lots of vegetables in it too. This is a gluten free lasagne with veggies and cheese. 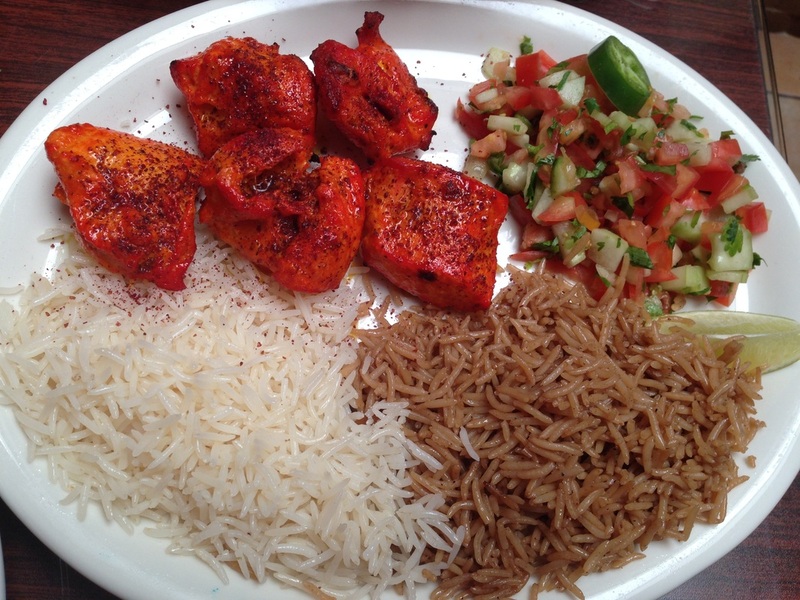 Afghani food: two kinds of rice, salad, and marinated chicken kebobs. 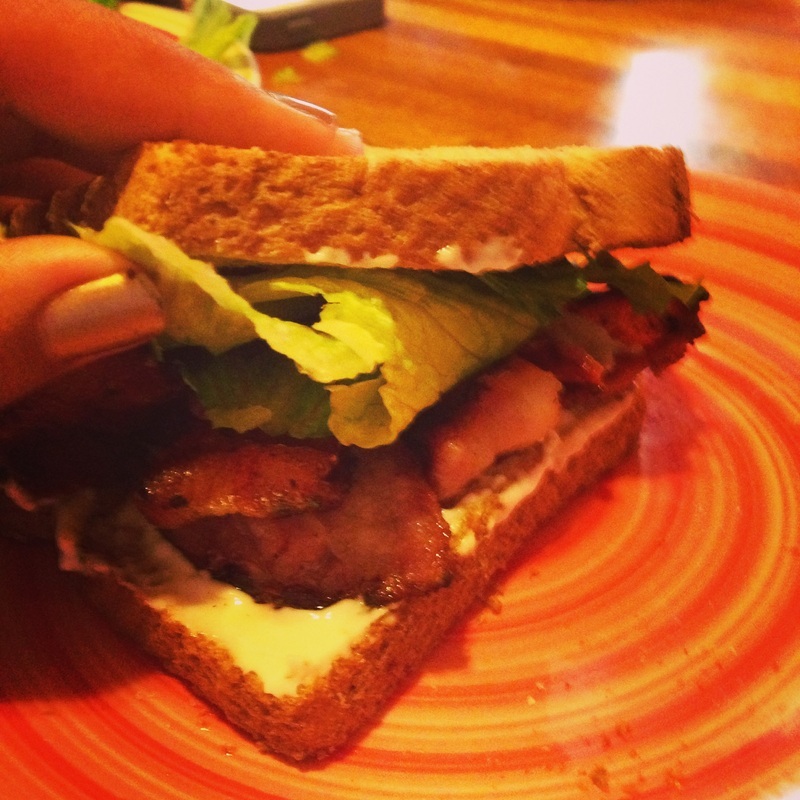 PHASE 4 and beyond: Gluten free bread, BLT with raw cheese and avocado. 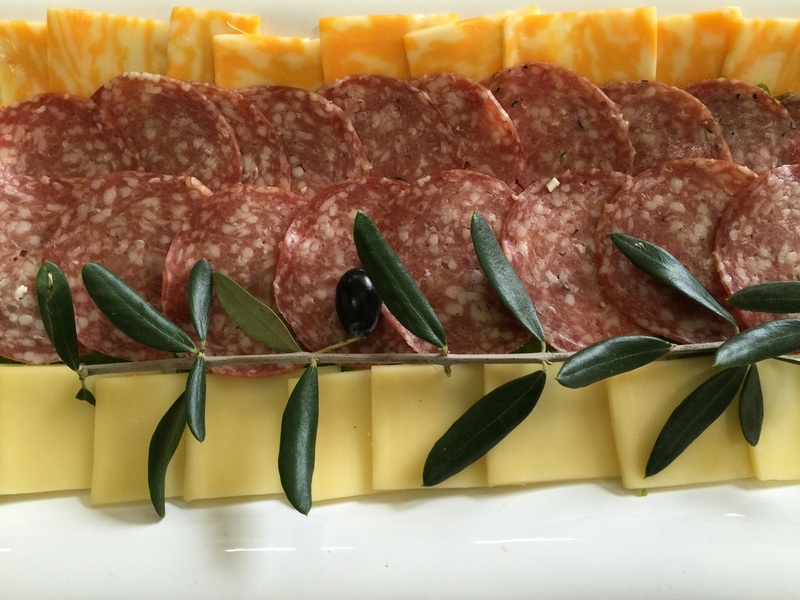 ​PHASE 4 and PHASE 2: (if no carrots) salad for a party!! Just don't eat the carrots if you are in P2 of HCG Rx strength plan. 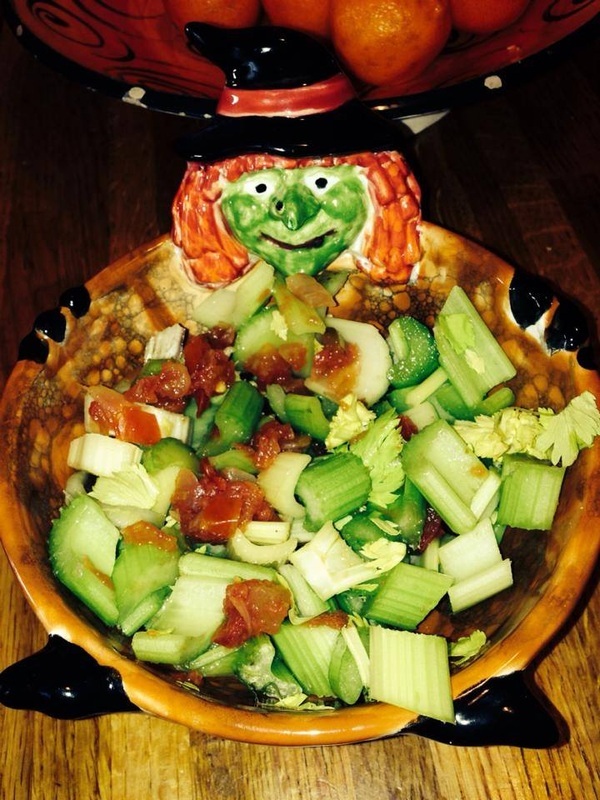 This salad is lettuces, cukes, zucchini, tomatoes, onions, radishes, and lemon with herbs! PHASE 4: Sirloin steak, grilled purple onions, fried egg on top, rice, chimichurra sauce, and butter, of course!